The CPU problem. Does a high-end graphics card suffer from a weak processor? Many gamers will have this question when they consider buying the GX70. 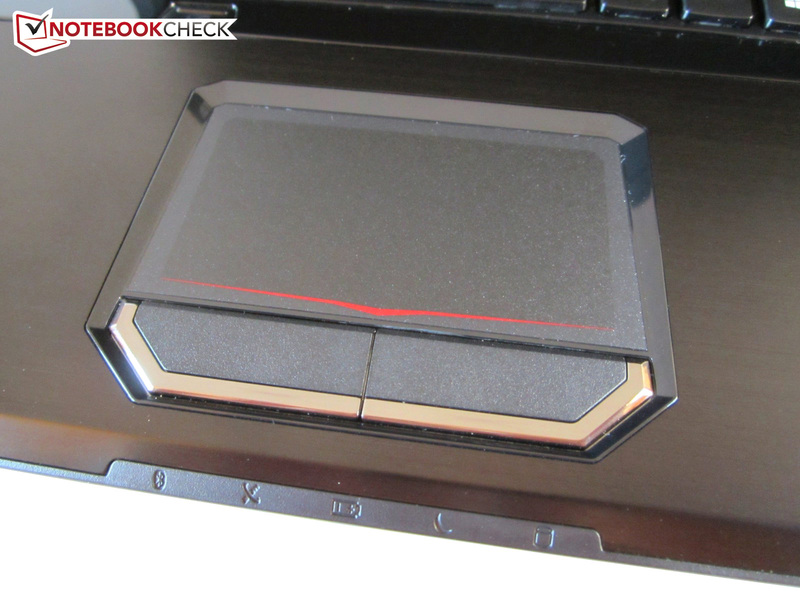 Our review takes a closer look at the performance of the gaming device. 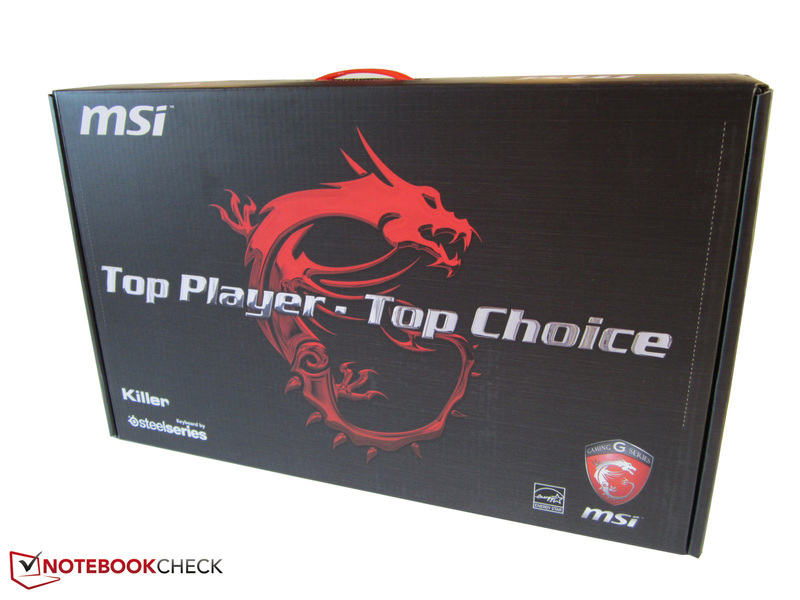 Is MSI offering a well-balanced package and can the Radeon HD 8970M use its full potential? 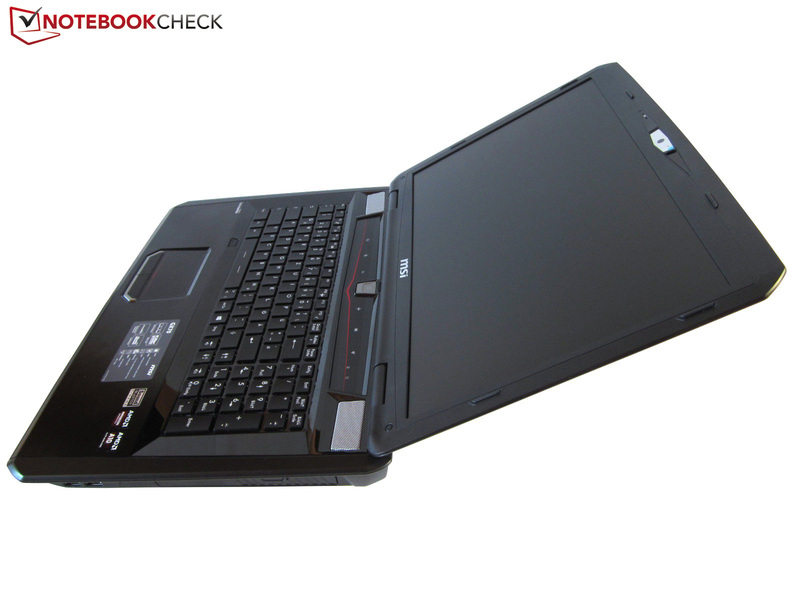 We found some points of criticism in the review of the GX60 almost one year ago and the Taiwanese notebook manufacturer now offers the 17-inch successor. 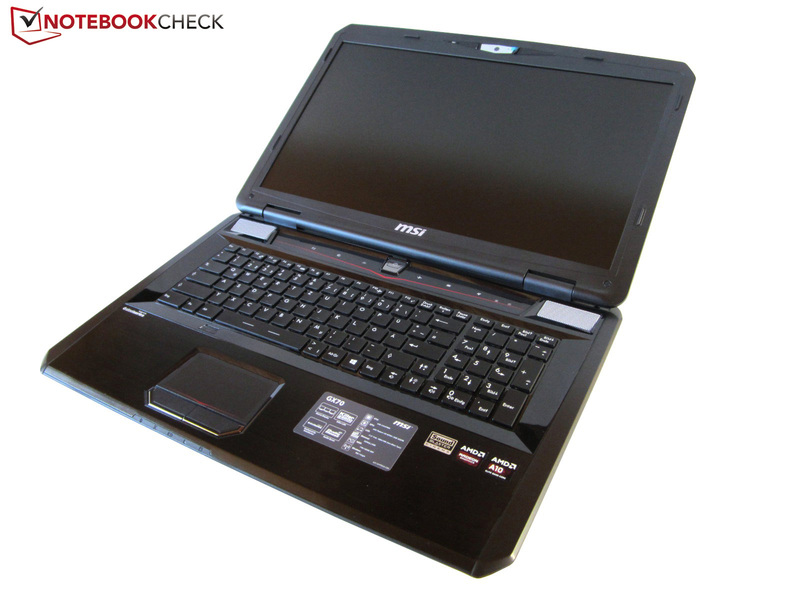 For a price of 1,300 Euros (~$1744) the GX70H-A108972811B is not only equipped with 8 GB DDR3 RAM and a 1,000 GB hard drive but also with a small 128 GB mSATA SSD for the Windows 8 (64-bit) operating system. Optical discs can be used with the Blu-ray drive; it cannot write Blu-rays but at least DVDs. Other highlights are the anti-reflective Full HD display (1920x1080) and the 2.1 sound system. 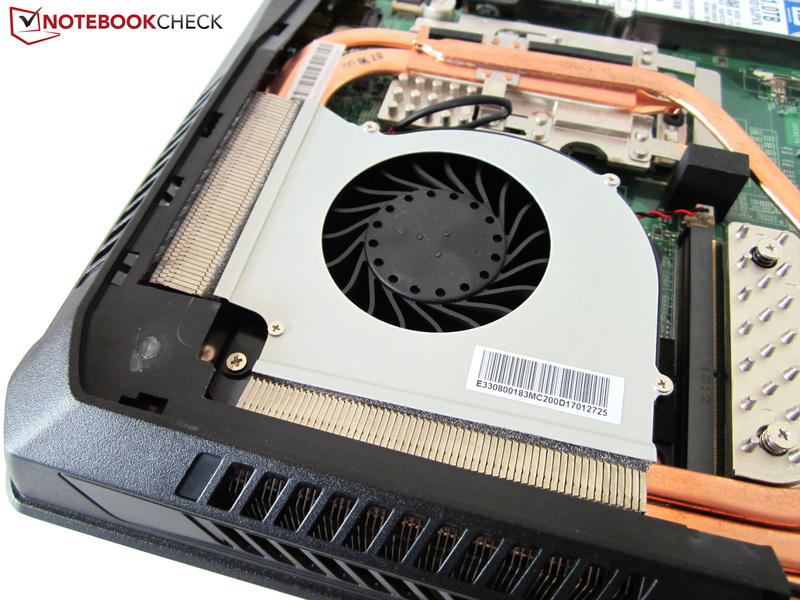 More demanding 3D applications are handled by the Radeon HD 8970M, which is currently the best notebook GPU from AMD. Much more interesting, although significantly slower, is the integrated CPU. 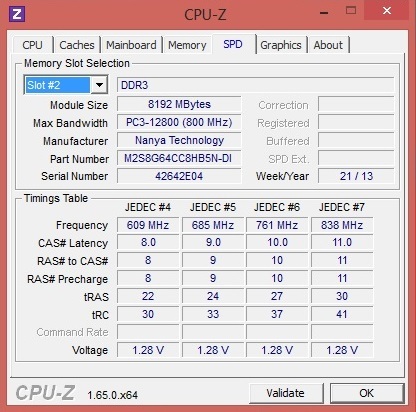 Despite its four cores and dynamic overclocking, the A10-5750M is basically a low-end processor. Not many manufacturers would offer such a daring mixture. If you are not a friend of AMD in general, you should have a look at the GT70. 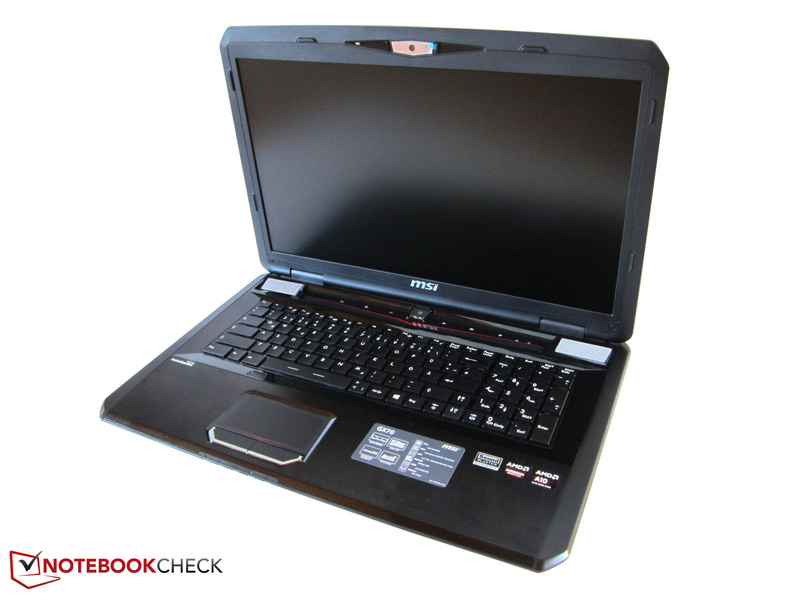 For 300 Euros (~$402) more, MSI offers a similarly equipped configuration with a Core i7-4700MQ and a GeForce GTX 770M (GT70H-70M3811B). Nvidia's current number one, the GeForce GTX 780M, is only available in the GT70H-80M4811B for 2,000 Euros (~$2684). Except for the missing Dynaudio branding, the case is identical to the 17-inch sibling GT70. Once again, the manufacturer uses the unusual gamer-design with sensitive glossy surfaces (keyboard frame) and a somewhat chaotic mixture of shapes or materials respectively. Some people might even call it the typical Asia-look. We will see if the manufacturer is going to design a device for European and American customers in the future. 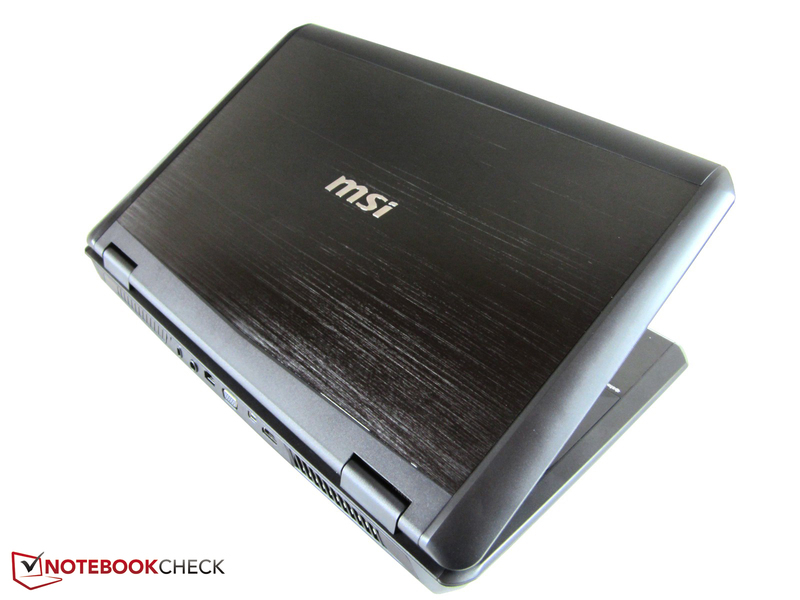 But MSI can also produce simpler notebooks, for example the GS70 Stealth (GeForce GTX 765M). 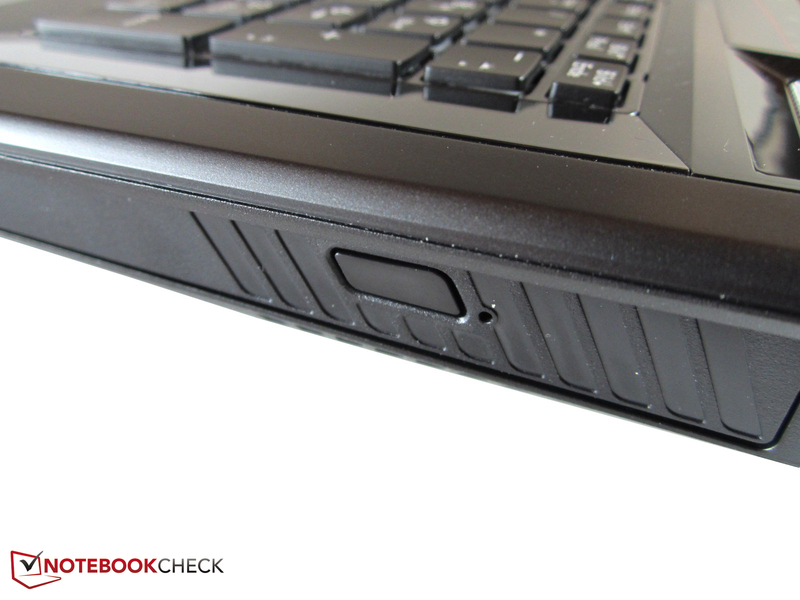 Apart from the design, the GX70 is a really bulky notebook. A chassis height of six centimeters is far above average and will certainly scare off some customers. The situation is similar in terms of weight: 3,740 grams is not very comfortable to carry around. You can find more information about the case here. The port variety and the port layout are completely identical with the GT70. 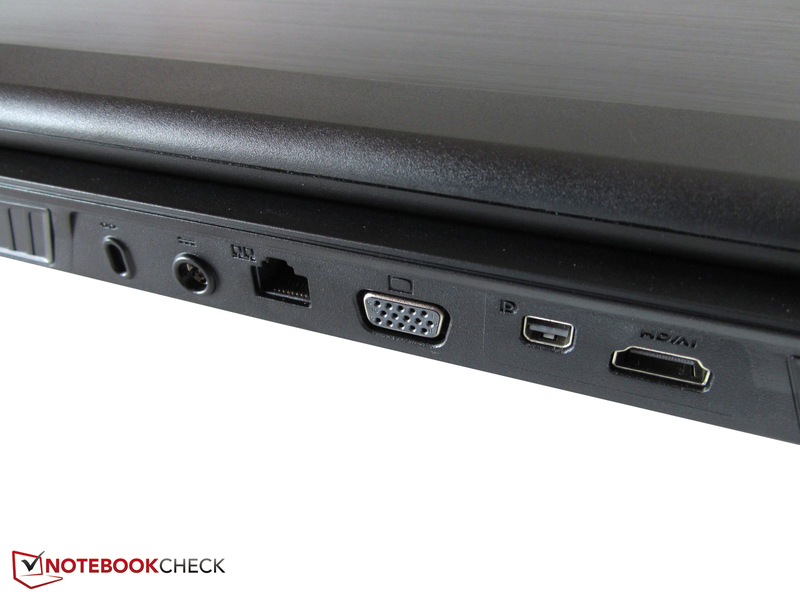 While the optical drive and two USB 2.0 ports are on the right side, four audio ports (7.1 analogue, S/PDIF), three USB 3.0 ports and one card reader (SD, SDHC, SDXC) are on the left side. A Kensington lock, RJ-45 Ethernet port and the power connector are next to the video ports (VGA, HDMI + DisplayPort) at the back. The layout is certainly a matter of taste, but we would have preferred to place the audio ports and the USB ports not so far at the front to avoid collisions with an external mouse. 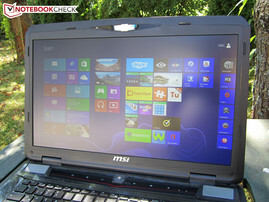 All in all, the connectivity gets a good rating, MSI should have integrated FireWire or eSATA and improved the layout for a higher rating. Similar to the GT70 or GE70, the manufacturer integrates a Killer e2200 Gigabit Ethernet Controller from Qualcomm Atheros. The network controller comes with comprehensive software with numerous statistics and settings. You can also use wireless networks with the Realtek RTL8723AE WLAN module. It supports 802.11 b/g/n networks and also Bluetooth 4.0. The range was inconspicuous, in other words neither very good nor really bad. 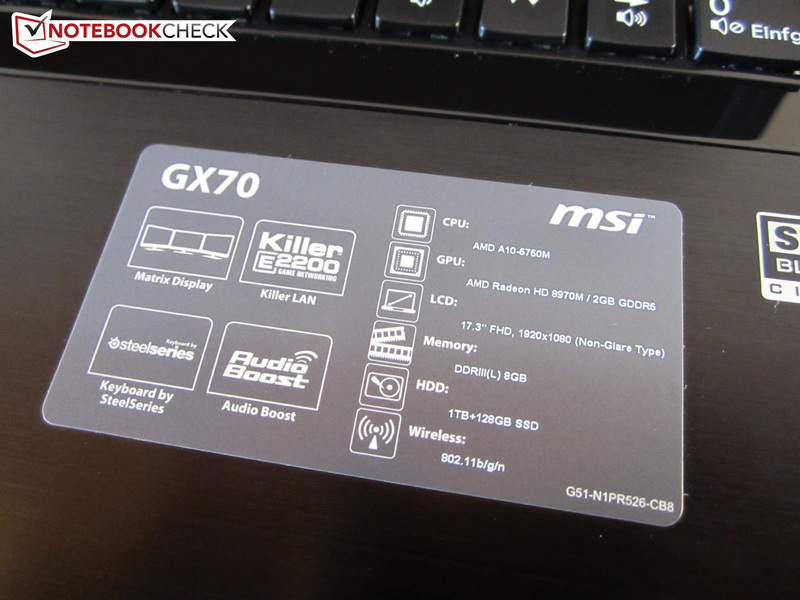 The maintainability of the MSI GX70 is very good. We could not open the retail device due to the warranty sticker, but the internal layout should be similar to the GT70. There, you can access the memory, the hard drive and the wireless module (partly beneath the keyboard) and also the fan, the graphics card and even the processor. Unfortunately, the GX70 only has two DDR3 memory slots instead of four according to the homepage. 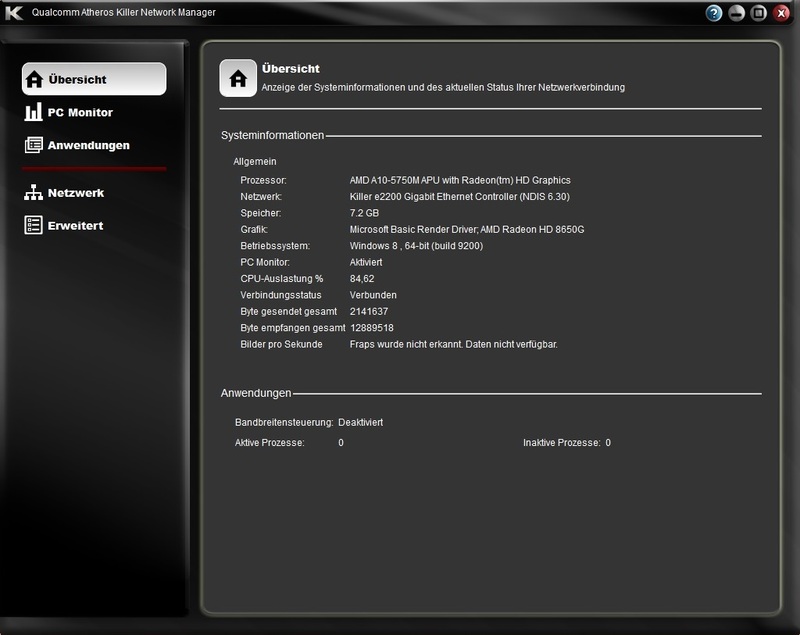 MSI preinstalls a lot of additional software, however, it is still manageable. One reason is that some applications are actually quite useful. Movie enthusiasts will be happy about Cyberlink PowerDVD 10 (for Blu-ray playback) and a trial version of Office 365 does not hurt either. 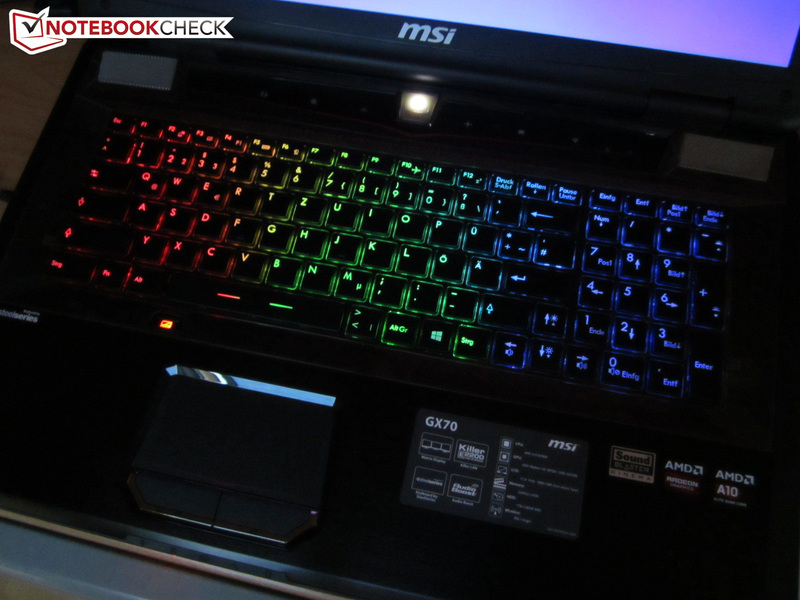 We have to praise MSI for the convenient recovery (F3 during boot) and the comfortable software to adjust the keyboard illumination (see screenshots). Compared to many competitors, the provided accessories are quite comprehensive. 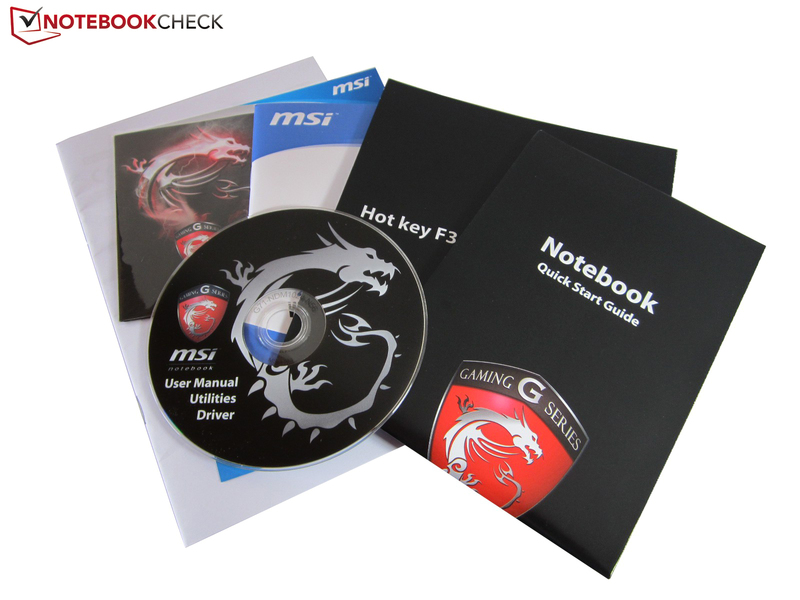 MSI puts a driver DVD, warranty information, a quick start guide and some additional information in the box. You can also decorate your notebook with a dragon sticker if you want. As expected, there is neither a recovery DVD nor a user guide. The provided 180 Watts power supply unit (167 x 83 x 40 millimeters) is really heavy with 850 grams and the 9-cell battery is not really light either (480 grams). 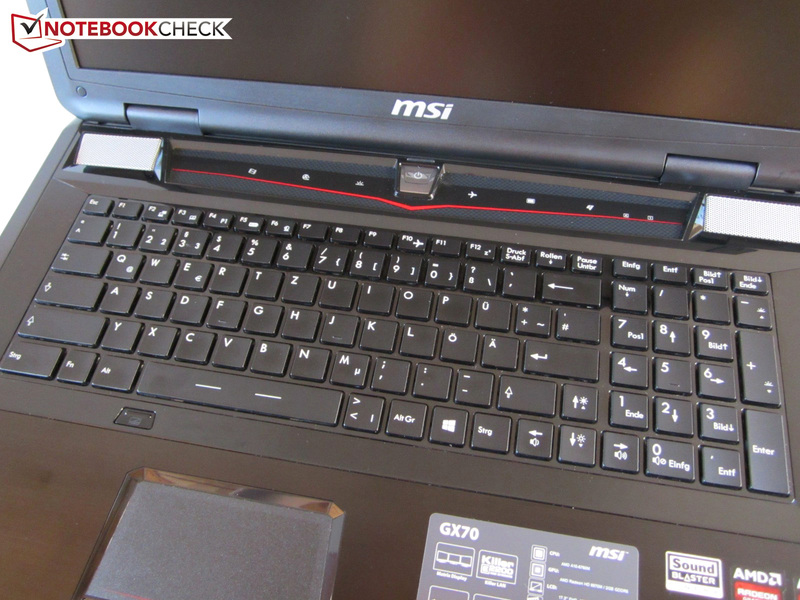 MSI grants a two-year warranty. We are already familiar with the input devices from older notebooks. 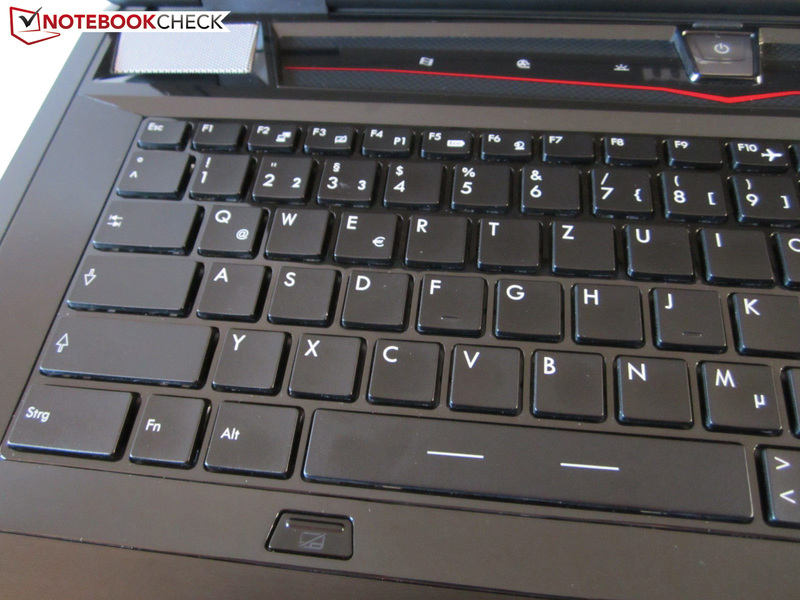 Except for the unusual layout (single-row Return + some shifted keys), the keyboard leaves a good impression. We especially liked the adjustable keyboard illumination with three different zones; it significantly improves gaming sessions in dark environments. 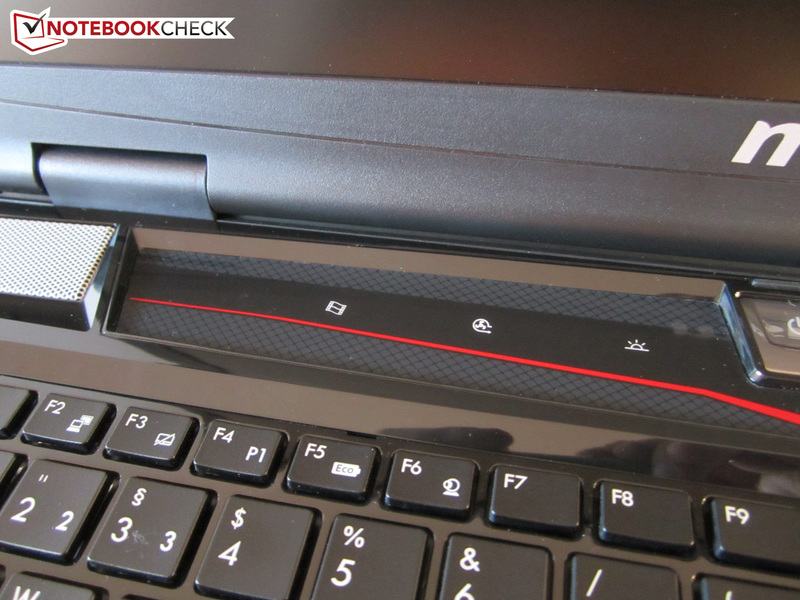 The touchpad is also useable, although you should not expect any wonders. 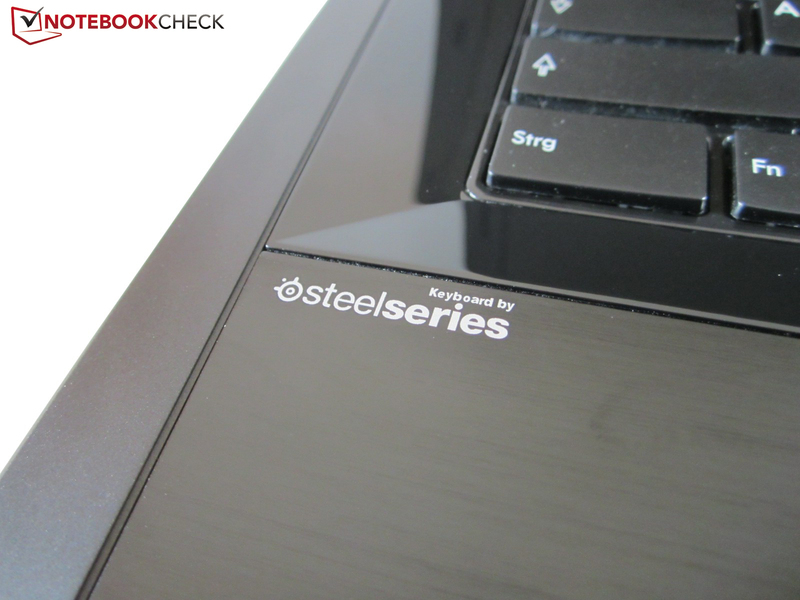 We had a closer look at the input devices in our review of the GT70. 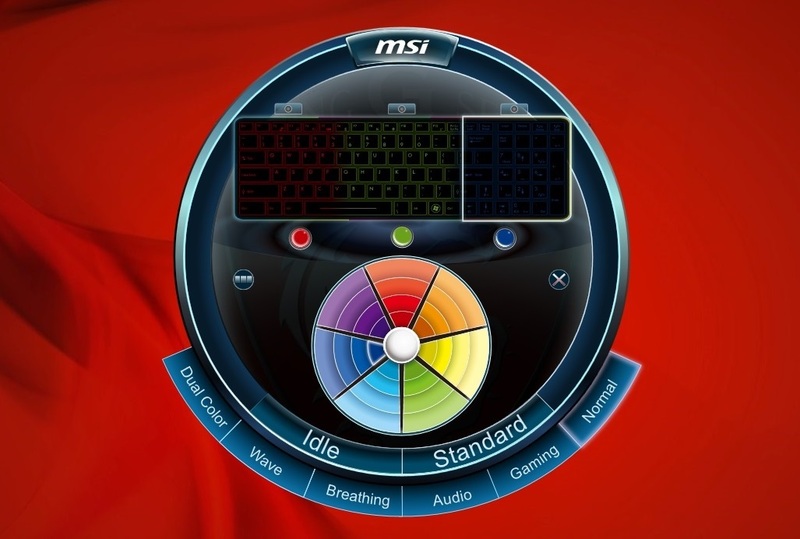 It is not really surprising that MSI uses the Chi Mei N173HGE-L11 panel. Although the Full HD display is notorious for its grainy presentation (plain, bright backgrounds appear "crumbly"), we can attest a good picture quality for the display. This positive impression is primarily a result of the high contrast ratio. Thanks to the excellent luminance (average above 300 cd/m²) and the comparatively low black value (0.34 cd/m²), the contrast ratio of the GX70 is almost 1000:1. This is also the reason that other manufacturers like Acer (Aspire V3-772G) or Clevo (P170SM, P177SM & P370SM barebone) use this display. 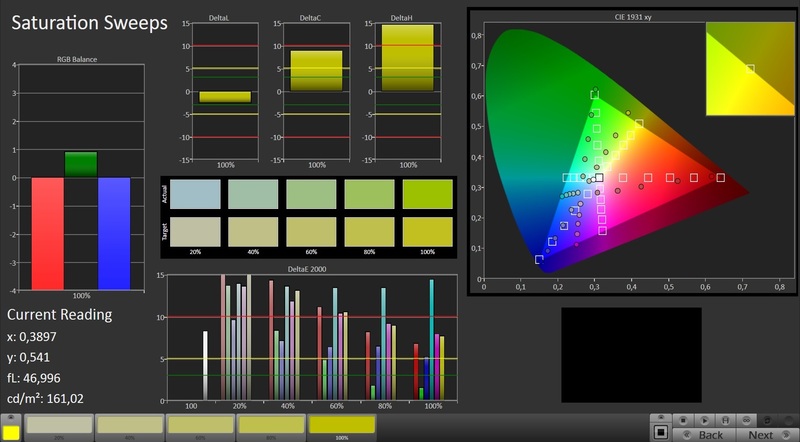 However, the color analysis reveals several weaknesses. Fortunately, they will only affect a small number of potential buyers. 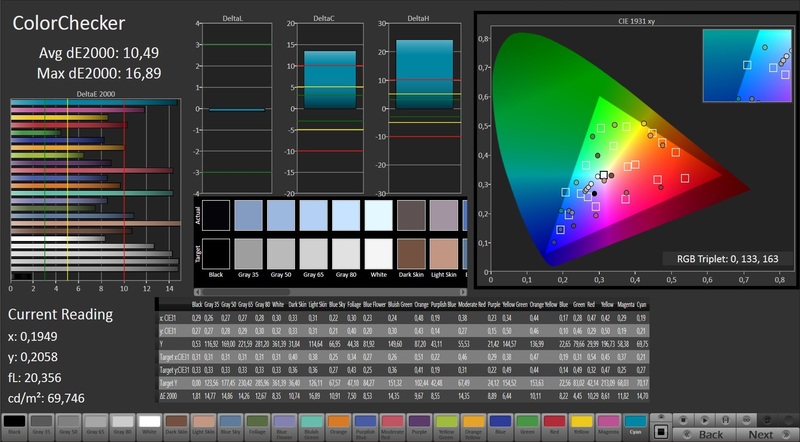 Besides the mediocre brightness distribution (below 80%), the color accuracy leaves room for improvement. 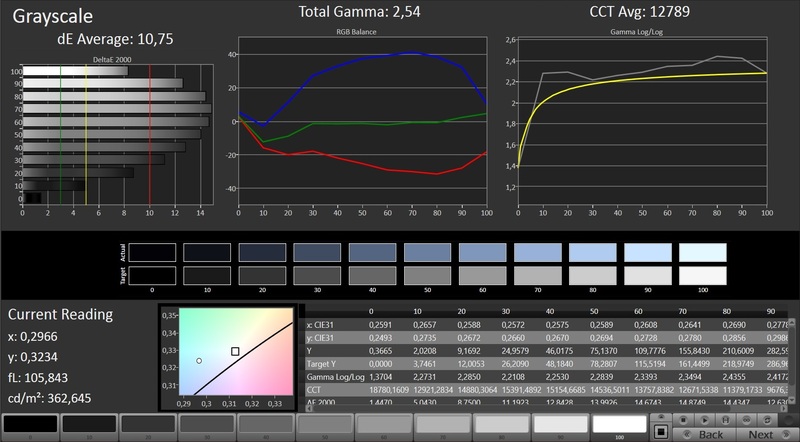 Despite the crisp picture, the Chi Mei N173HGE panel is not overwhelming in regard to the color space coverage: 57% of AdobeRGB is not enough for professional users. Color management, grayscale presentation, saturation and color accuracy are also not very convincing (compare CalMAN screenshots). Gamers and movie enthusiasts are not really affected by this. Don't worry if you prefer working outdoors; the high luminance of the GX70 and the anti-reflective display surface enable convenient working at almost any location (balcony, garden etc.). Bright indoor environments are also no problem. The viewing angle stability is quite good for a TN panel. Our picture shows that there are almost no deviations with horizontal shifts, but you will have to manage restrictions with vertical viewing angles. If you tilt the display forwards or backwards, certain screen contents appear too bright or too dark respectively. All in all, the display does leave a very good impression. 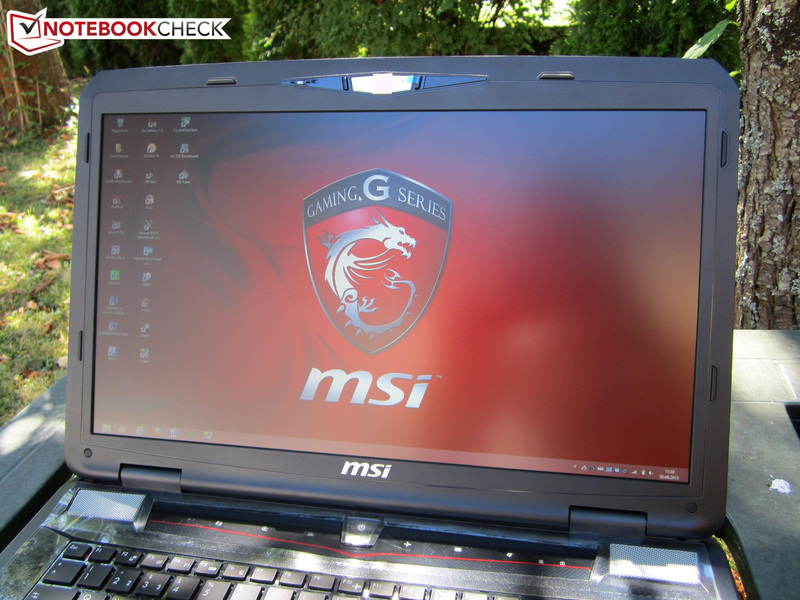 MSI equips the GX70 with the fastest quad-core processor from AMD's A-series. However, you should be careful with the adjective fast in this context since it is well-known that AMD is far behind the competition from Intel in terms of performance. 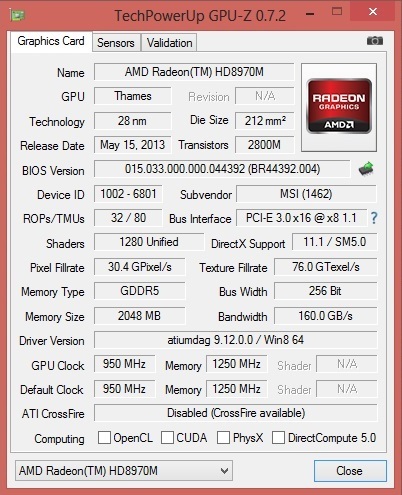 The integrated GPU also has an increased clock speed; the AMD Radeon HD 8650G now runs with 533-720 instead of 497-686 MHz (Radeon HD 7660G). However, the number of shader units is identical (384 unified shaders). 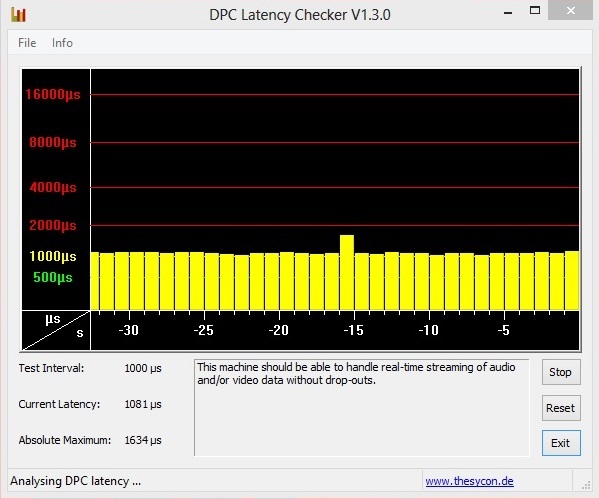 The performance of the HD 8650 with dual-channel memory should be slightly above the HD Graphics 4600. But why are we talking about the integrated GPU if the GX70 is equipped with a high-end graphics card? The answer is easy: Because of switchable graphics. 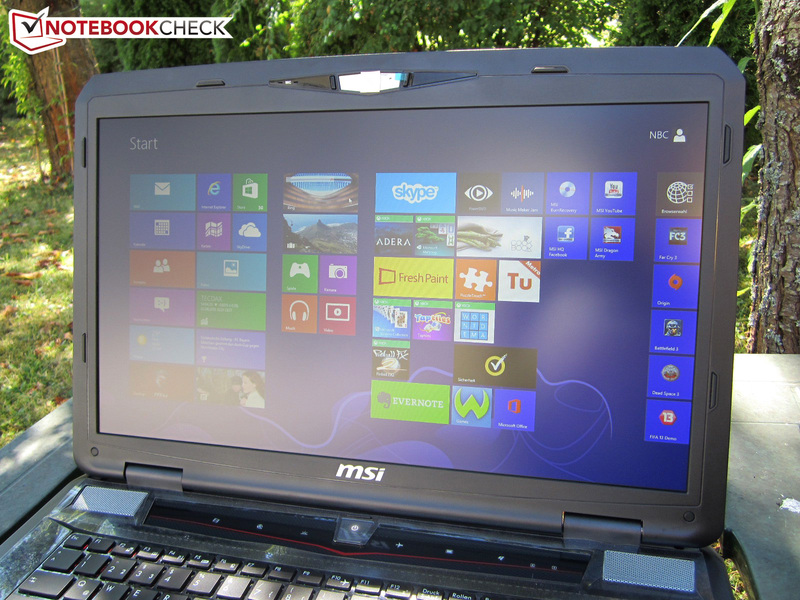 Similar to most competitors, the 17-inch notebook can easily switch between the integrated and the dedicated GPU. Nvidia calls this technology Optimus, while AMD calls it Enduro. 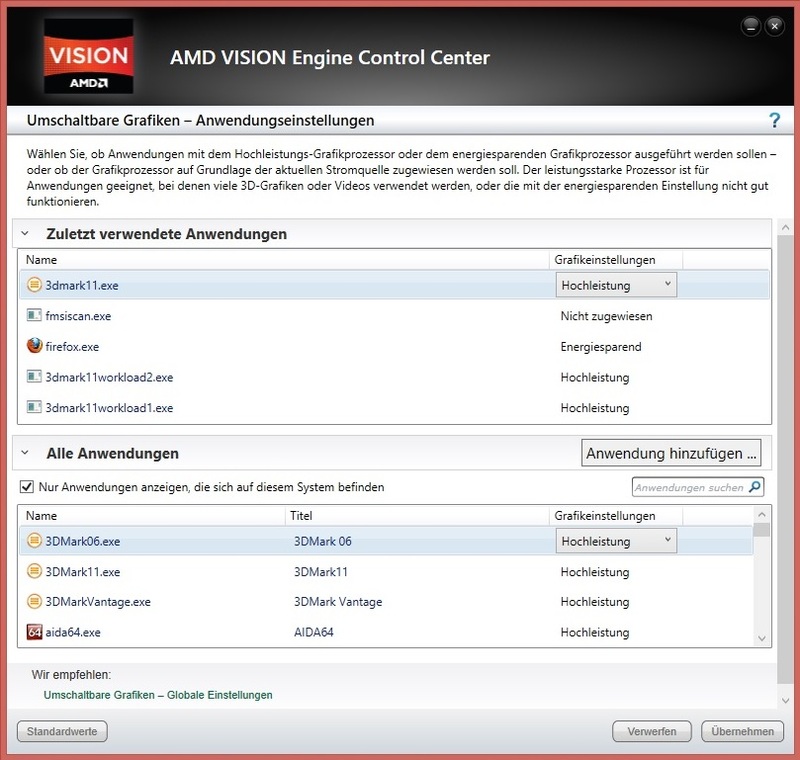 You can preselect the GPU via Catalyst Control Center. Besides a global setting (we recommend Optimized Performance or Maximum Performance for gamers) you can also create special application profiles. 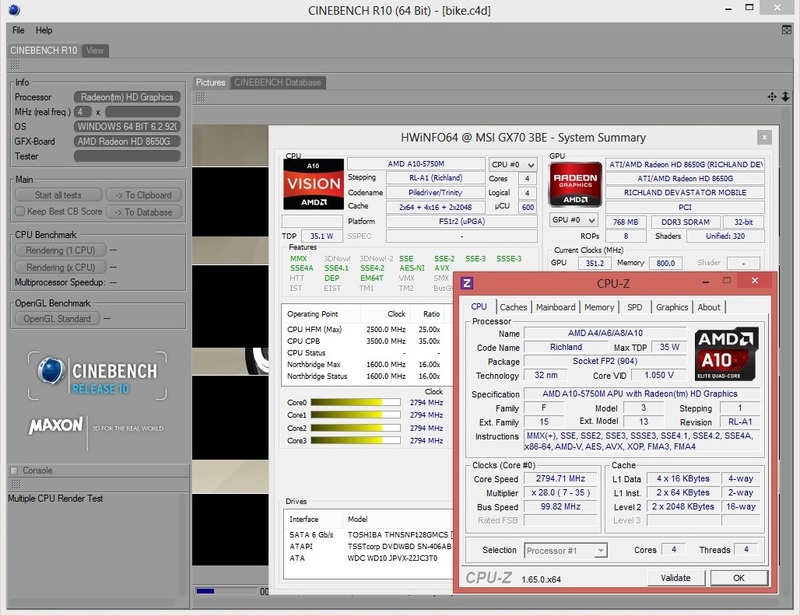 We checked the CPU overclocking (Turbo Core 3.0) with Cinebench R10 and the Unigine Heaven 2.1 benchmark. 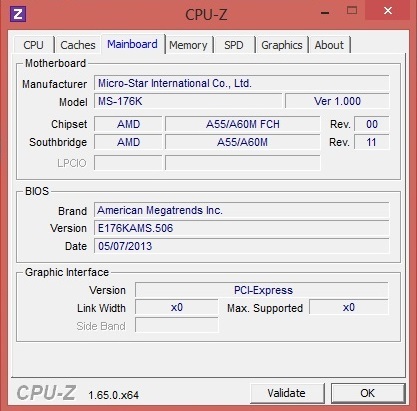 Tools like HWiNFO and CPU-Z quickly show that AMD's technology is not working as well as Intel's version. 3.2 GHz in the Single-Core test and 2.8 GHz in the Multi-Core test are decent but not really overwhelming. The clock also fluctuates between 2.8 and 3.2 GHz and can even drop to 2.5 GHz for short periods with simultaneous GPU load. Intel's Turbo Boost technology usually enables a significantly higher clock in our experience. 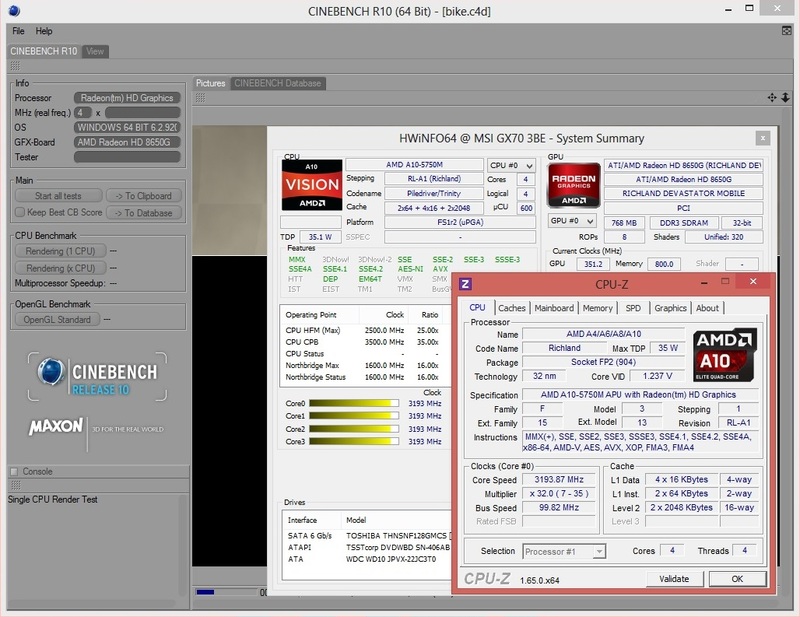 The CPU is really in a tough position against Ivy Bridge and Haswell processors; the A10-5750M (0.85 points) can surpass the A10-4600M (0.74 points @ MSI GX60) by 15% in Cinebench R11.5 Single Core Rendering, but it cannot keep up with the competition from Intel. With a similar TDP of 35 Watts, the Core i7-4702MQ is more than 60% faster (1.42 points @ Acer Aspire V3-772G) and the 45 Watts Core i7-4700MQ has an advantage of more than 70% (1.50 points @ MSI GE70). 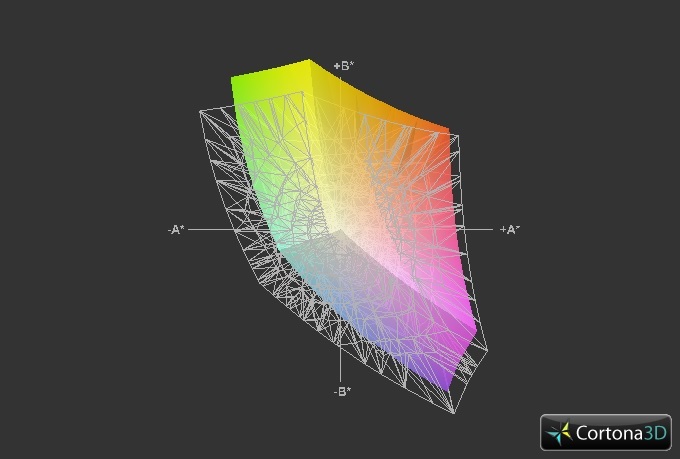 These differences are dramatically increased in CB R11.5 Multi Core Rendering. 2.32 points is easily surpassed by the Core i7-4702MQ (6.34 points @ DevilTech Fire DT14) and the Core i7-4700MQ (6.86 points @ MSI GT70H). The A10-4600M only managed 2.0-2.1 points. 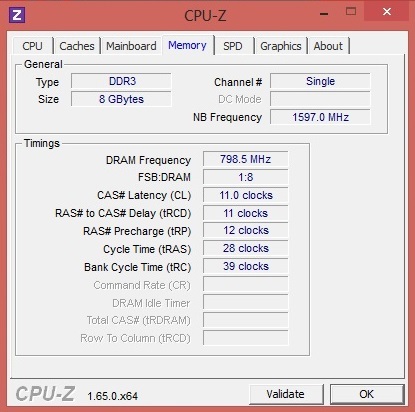 The poor performance is not only caused by the lower clock but also by the lower efficiency (performance per MHz). 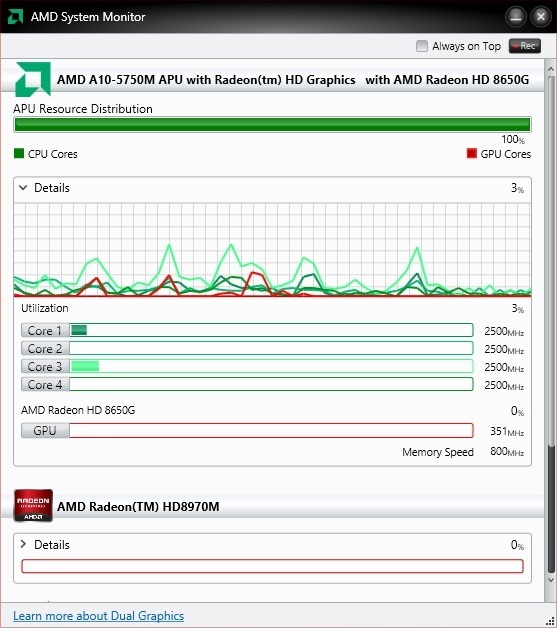 In addition, AMD has no counterpart to Intel's Hyper Threading (simulates virtual cores). Although the designation would suggest it, the Radeon HD 8970M is not a completely new graphics card, but in simple terms just a higher clocked version of the Radeon HD 7970M. While the former is clocked at 900-950 MHz (core) and 1,250 MHz (memory), the latter only works with 850 or 1,200 MHz respectively. Contrary to Clevo (see review), MSI does not choose an exaggerated size for the video memory (4,096 MB) and uses sufficiently dimensioned 2,048 MB GDDR5 and a 256-bit memory interface. The other specifications are not too bad either. 2.8 billion transistors and 1,280 unified shaders are very respectable. The Radeon 8970M is produced in a 28 nm manufacturing process (GCN architecture). The DirectX-11 GPU is currently competing against the GeForce GTX 770M (811/1,000 MHz, 960 shaders, 3 GB GDDR5 VRAM) and the GeForce GTX 780M (823/1,250 MHz, 1,536 shaders, 4 GB GDDR5 VRAM). 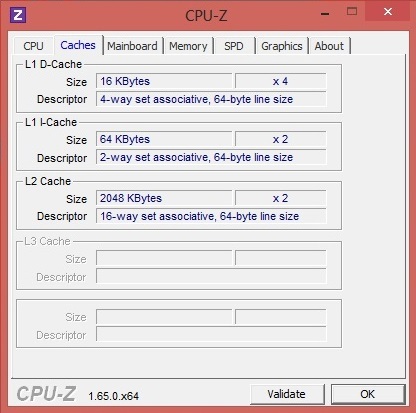 The benchmark results are heavily dependent on the influence of the CPU. This phenomenon is especially apparent with versions of 3DMark. If you are just looking at the Physics Score, the results are mediocre at best and the weak CPU is on a level with frugal ULV notebooks (Core i5-3317U etc.). This also has a negative impact on the overall score of some 3DMark versions. The effects on the GPU benchmarks are manageable. With 4,967 points, the GX70 is right in the middle between the GeForce GTX 770M (3,729 points @ ForceWare 320.49) and the GeForce GTX 780M (5,744 points @ ForceWare 320.49) in 3DMark 2013 Fire Strike. 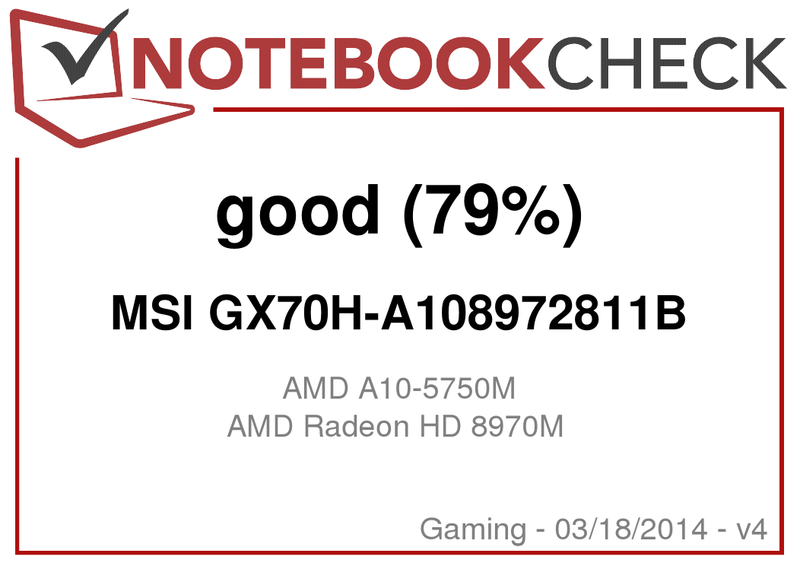 Other notebooks with the HD 8970M only have a slight advantage (5,110 points @ One K73-3N). 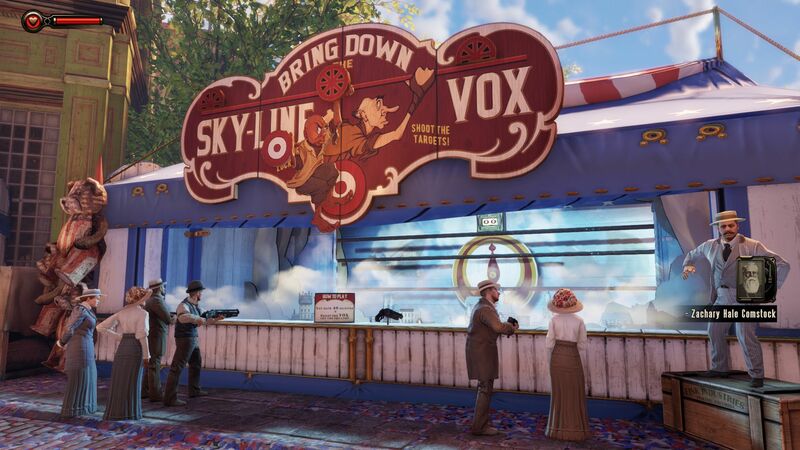 Unigine Heaven 3.0 is a more realistic benchmark. 51.1 fps for the GX70 with a resolution of 1920x1080 pixels, high details and standard tessellation match the GeForce GTX 770M (49.5 fps @ ForceWare 311.27). 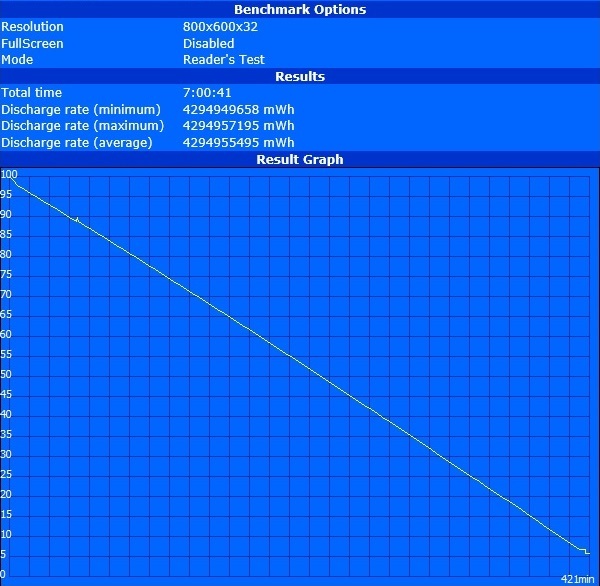 However, the GeForce GTX 780M has an advantage of around 50% (75.9 fps @ ForceWare 311.27). This difference would be smaller with a more powerful CPU (HD 8970M + i7-4700MQ: ~61 fps). 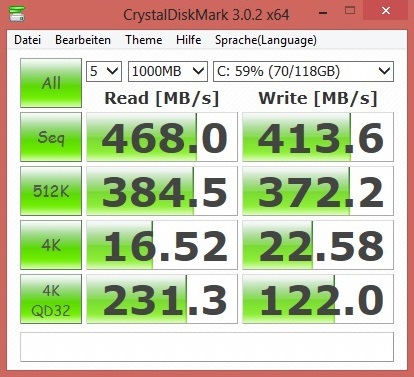 The small mSATA SSD with 128 GB differs from the recently reviewed GT70H-80M4811B. MSI does not equip the GX70 with a SanDisk X100 but with the similarly convincing Toshiba THNSNF128GMCS (faster with large files, slower with smaller files). 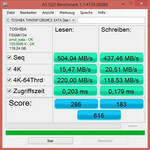 More than 500 MB/s for sequential reading and more than 400 MB/s for sequential writing (with considerable fluctuations) are not reached by every Solid State Drive. 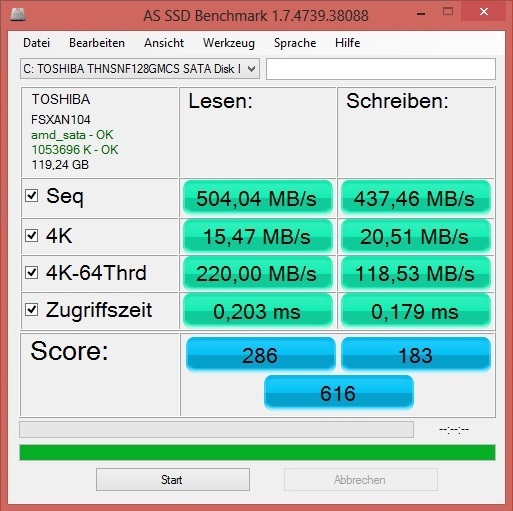 The AS SSD benchmark indicates an excellent access time of 0.18-0.20 ms.
Large files can be stored on the 1,000 GB Western Digital WD10JPVX-22JC3T0. 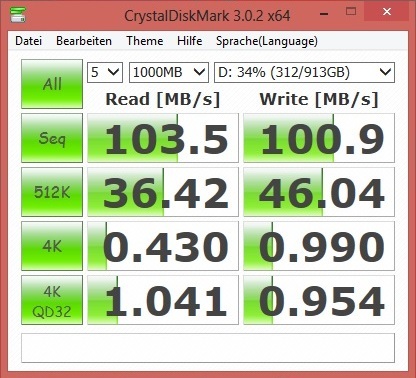 The performance of the large drive is good despite the 5,400 rpm; around 100 MB/s (sequential test @ CrystalDiskMark) is not surpassed by many hard drives. 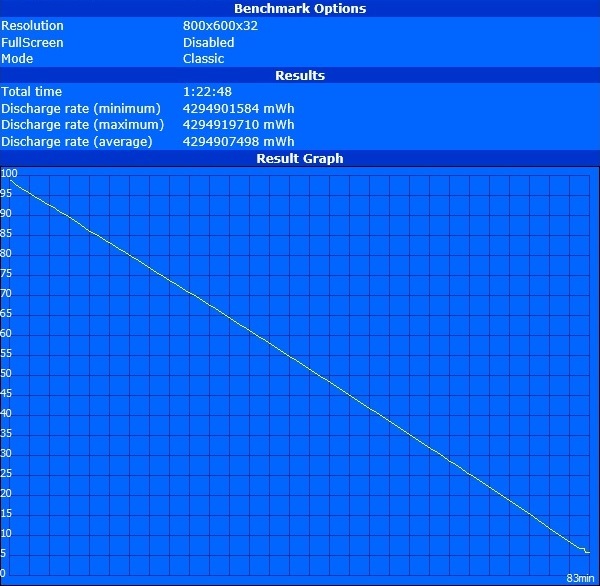 The slow quad-core CPU also affects the system benchmarks. 11,467 points indicate that the potential of the hardware cannot be realized; an Intel processor would double this result. A combination of an SSD and a high-end CPU/GPU is often above 20,000 points (for example the One K56-3N2 or the Schenker XMG P703). The gaming performance leaves a mixed impression. While the GX70 can compete with more expensive high-end notebooks in GPU demanding titles like Tomb Raider, BioShock: Infinite or Crysis 3, the frame rate cannot keep up with a GeForce GTX 765M in CPU demanding games. Among others this includes: Dirt: Showdown, Counter Strike: Global Offensive, Need for Speed: Most Wanted, Dishonored, Guild Wars 2 and Borderlands 2. According to our database, the combination of a Radeon HD 8970M and a quad-core processor from Intel gets 60% more frames on average, a combination of a GeForce GTX 780M and a Core i7-4x00MQ is almost 80% faster. Due to some bad results, the GX70 cannot even keep up with a GTX 770M equipped notebook (compare table after the verdict). 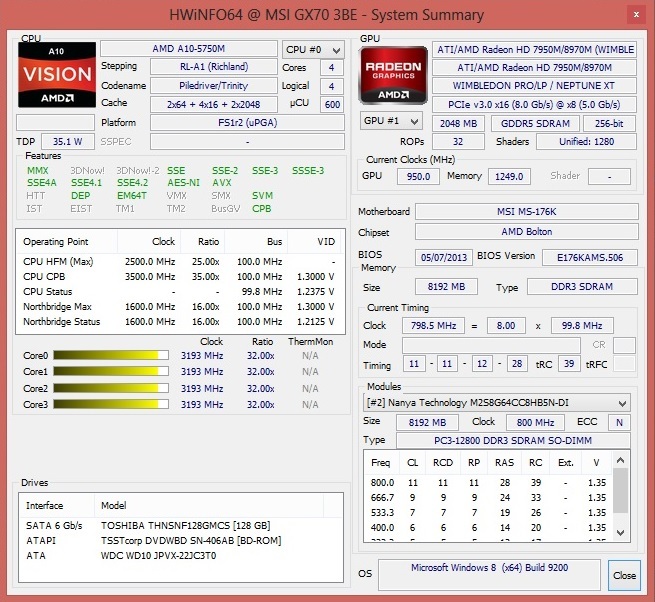 It is tragic that the HD 8970M is extremely limited by the CPU. The GX70 is especially slow in Fifa 13 and Assassin's Creed III. An Intel processor is around 150% faster. 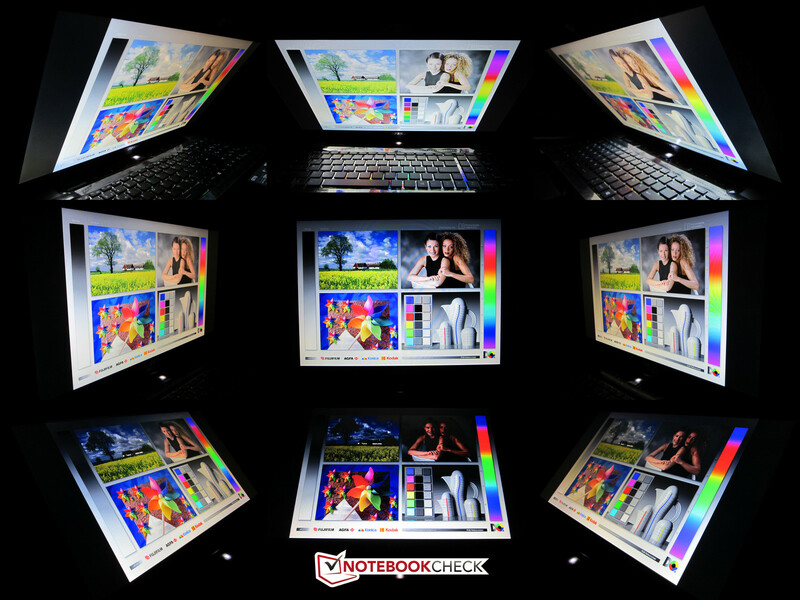 The notebook has problems with subjectively perceptible performance-drops in some games. This could be caused by the low CPU clock that, as we mentioned before, even drops to 2.5 GHz in some situations. It does not always help to reduce the graphics settings, since the processor is already at its limit. 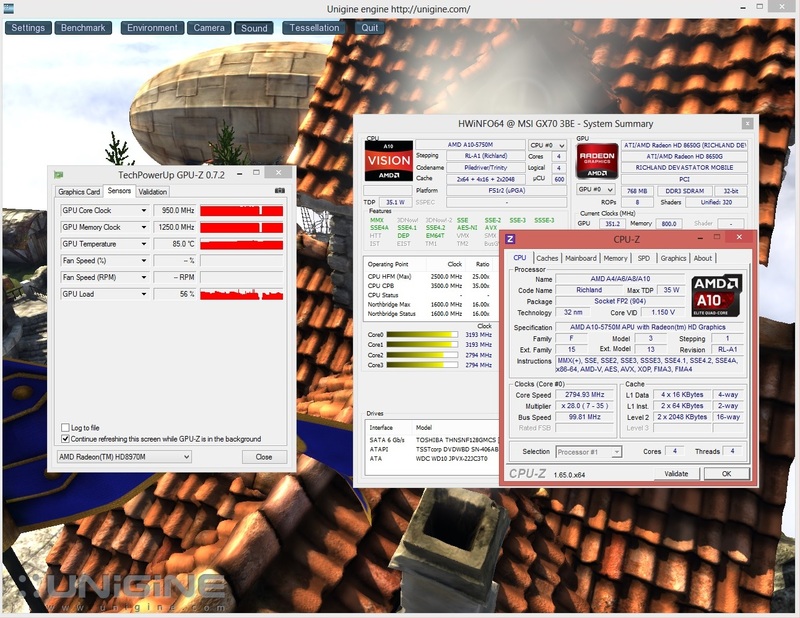 An Intel quad-core CPU manages almost all the games with high settings in combination with a GeForce GTX 765M (see table at the end of this review). A few titles struggle with dropped frames - whatever settings you choose. Because of the erratic CPU Turbo, the results change from one run to another. 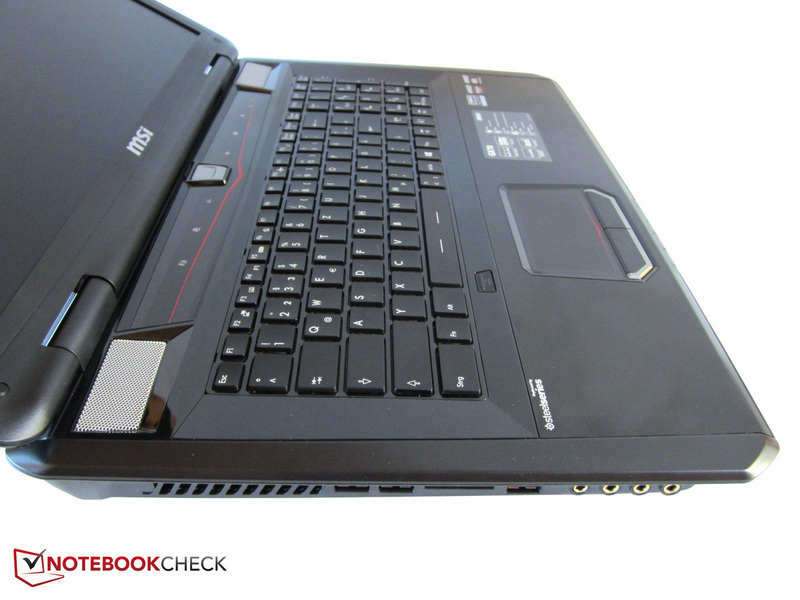 The notebook is not really faster than the GX60. AMD did not really improve its last generation. 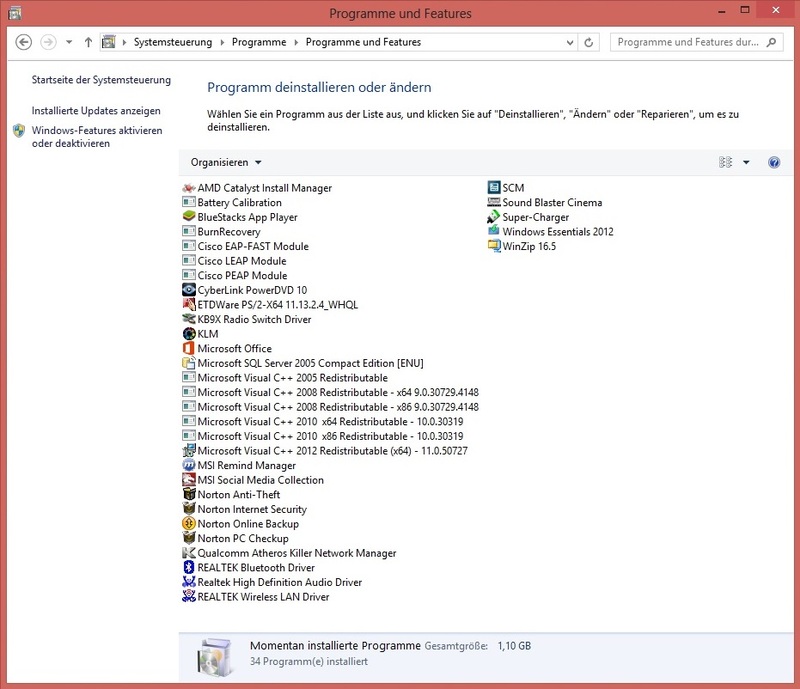 OpenGL applications are often not displayed properly (black screen). 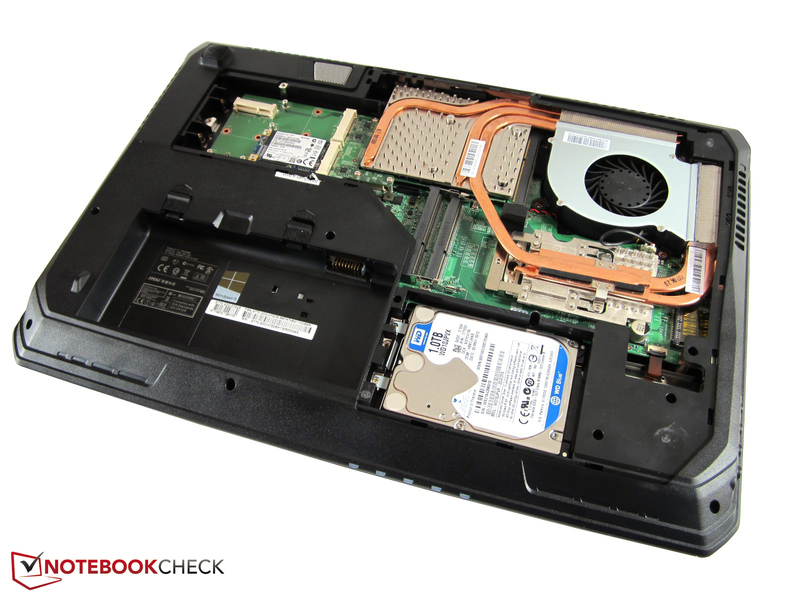 High-end notebooks with a low noise development are quite rare. Although the GX70 is not really silent, it is at least quieter than many gaming competitors, for example, during idle, where the fan is spinning with slightly audible 33-34 dB(A) (GT70H: 30-32 dB(A)). 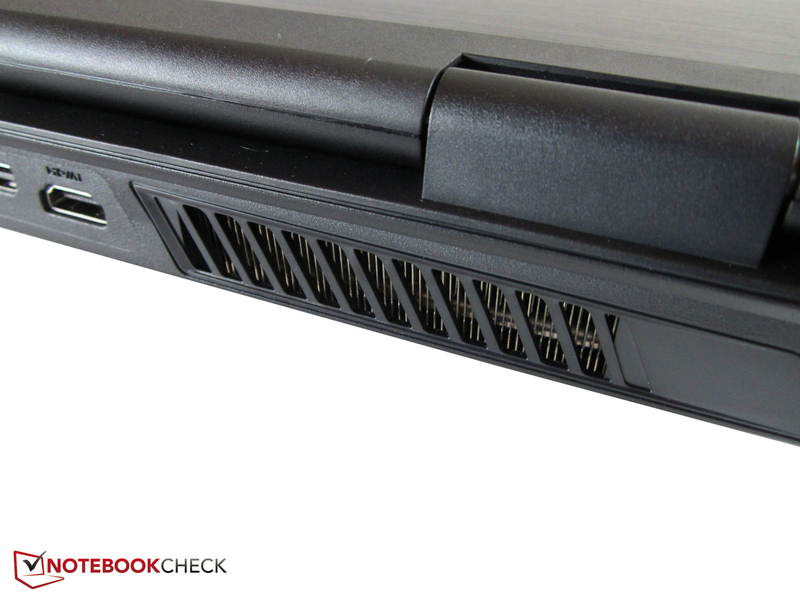 The similarly bulky Clevo P170SM barebone was a bit noisier with 36 dB(A). The GX70 is also very unobtrusive in gaming scenarios; 3DMark only resulted in 43 dB(A) instead of 47 dB(A) (GT70H: 41 dB(A)). 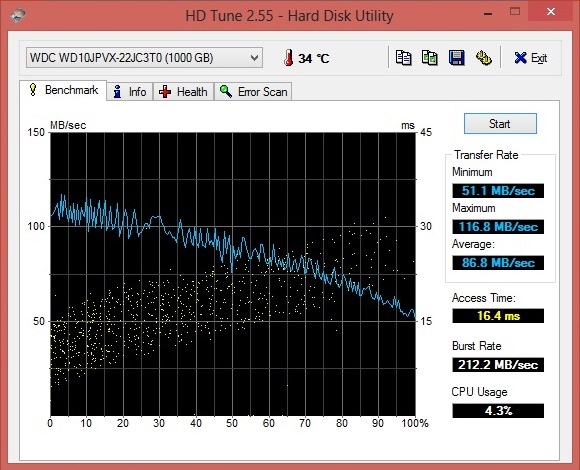 Like other notebooks it gets really noisy under maximum load with 51 dB(A). This is definitely annoying but still not as bad as the P170SM barebone with 55 dB(A). The noise development is reasonable with daily tasks. We were not annoyed even after several hours of benchmarks and you do not have to worry about a continuous overlapping with the game sound. Even movie enthusiasts can be happy: DVD and Blu-ray playback only result in a modest system noise. The adjective modest also fits in terms of surface temperatures. Despite an ambient temperature of 28 °C (measurements on a sultry summer day), most surface temperatures of the GX70 were below 30 °C during idle. The palm rest especially attracts attention under load - but in a positive manner. 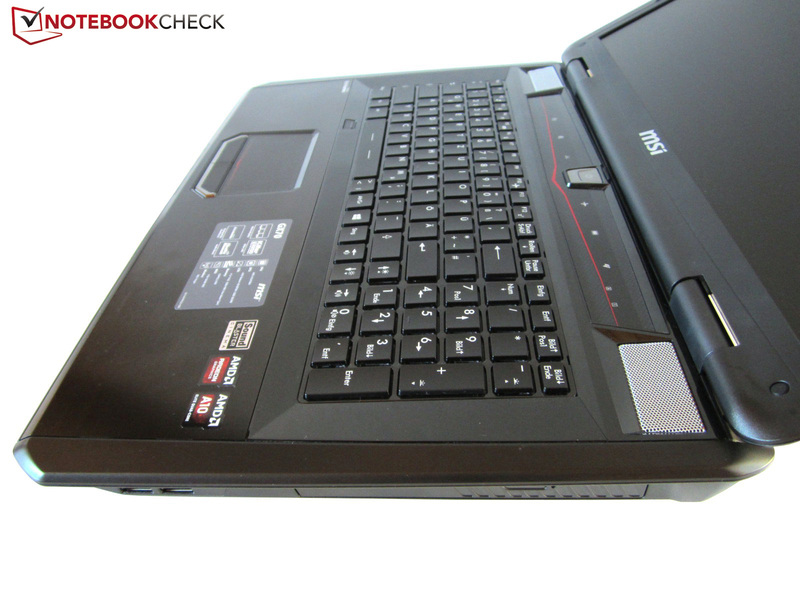 Even after one hour of our stress test with Furmark and Prime, the anterior third of the notebook did not exceed 31 °C. The only uncomfortable area is around the fan exhaust with a maximum temperature of 49 °C; however, the WASD area reaches up to 40 °C - a reasonable result. The components get significantly warmer. 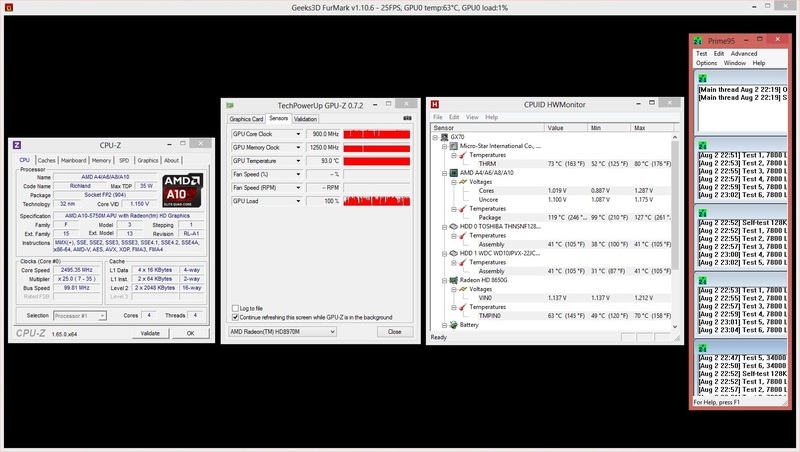 According to the tool GPU-Z, the Radeon HD 8970M breaks the 90 °C mark and we better ignore the results for the CPU. 100-130 °C, which is indicated by CPUID HWMonitor, clearly suggest a measurement error. Our review unit had problems with temporary CPU and GPU throttling. 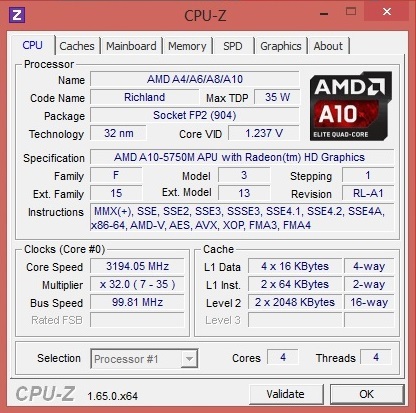 While the clock of the A10-5750M was occasionally reduced to 1.4 GHz, the Radeon HD 8970M only ran with 300 MHz (core) and 150 MHz (memory) at times. However, we could not determine any throttling in more realistic scenarios. 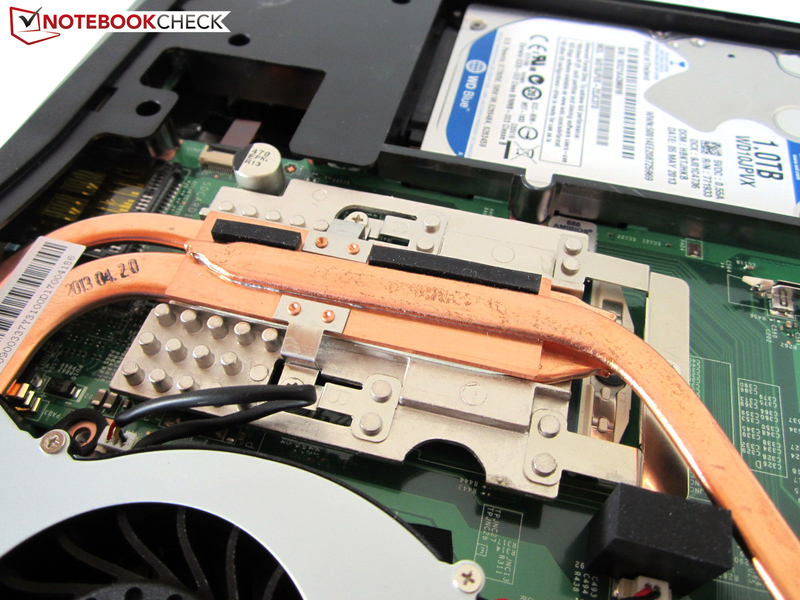 We did not use the Cooler Boost feature, which increases the fan speed in favor of the temperatures, because we had bad experiences with it in the past (MSI notebooks become extremely loud with this feature). (-) The maximum temperature on the upper side is 48.9 °C / 120 F, compared to the average of 39.3 °C / 103 F, ranging from 21.6 to 68.8 °C for the class Gaming. We already mentioned that the notebook does not have a Dynaudio certification, but this does not change the fact that the GX70 sounds better than many competitors. 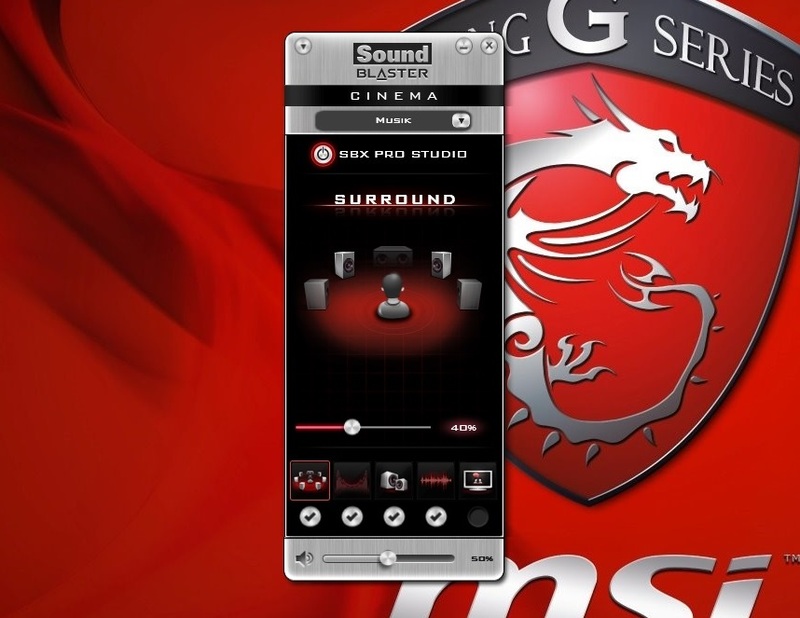 Beside the high maximum volume and the good bass we also like the Sound Blaster Cinema technology. Creative's sound optimization improves the 2.1 sound system and creates a richer and more powerful sound experience. Games, movies and music sound very precise and well-balanced as long as you do not use the highest volumes settings. There are not many notebooks that can keep up with this performance, hardly any manufacturer puts so much effort into the sound playback. The GX70 with its 35 Watts CPU consumes more energy during idle than the sibling with a 45 Watts processor GT70H-80M4811B (Core i7-4700MQ & GeForce GTX 780M); 13-30 Watts are significantly higher than the 17-inch sibling (8-25 Watts). 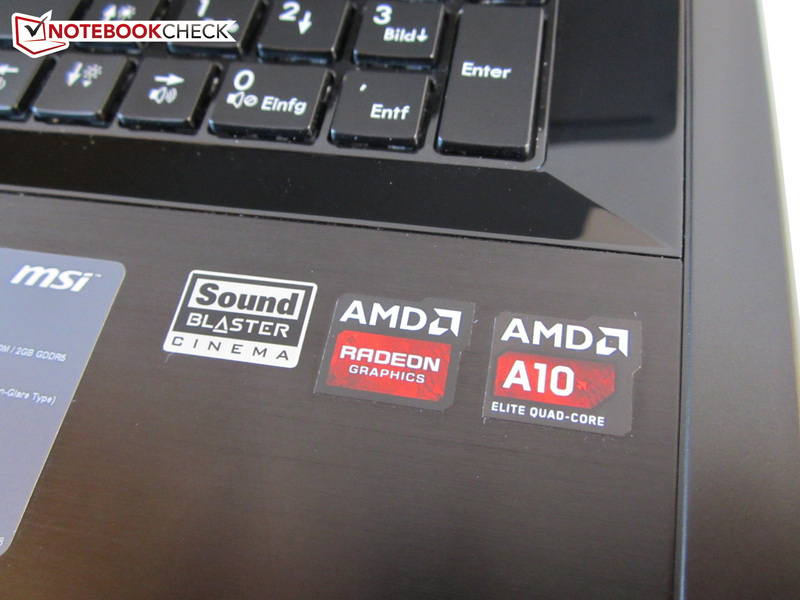 Only 3DMark06 shows a 10% advantage for the AMD notebook with 94 vs. 103 Watts. 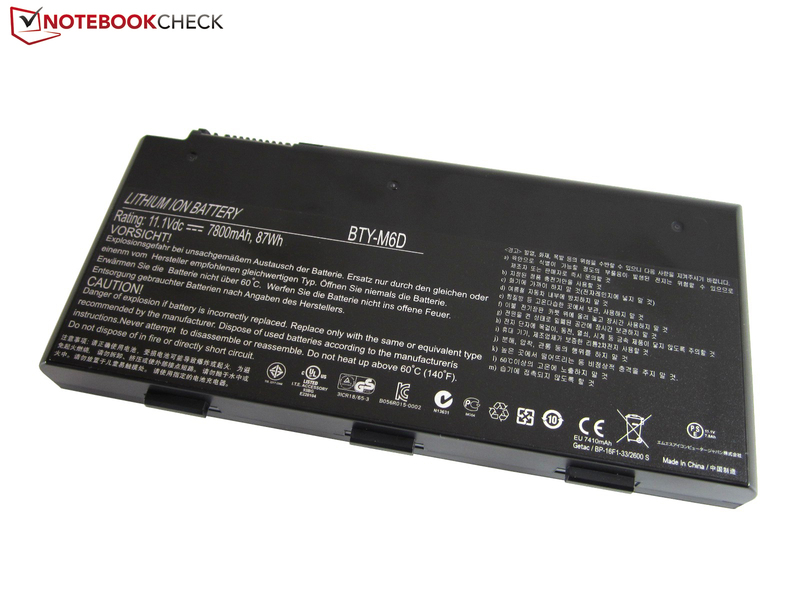 Contrary to other manufacturers MSI does not equip the GX70 with a smaller 6-cell battery but with a large 9-cell version (87 Wh, 7,800 mAh) instead. Combined with the switchable graphics, the GX70 manages surprisingly good battery runtimes. Almost 4.5 hours wireless web browsing and 3 hours DVD playback (high brightness, average energy saving settings) rather suggest a multimedia or office notebook. The battery of the GX70 even lasts 7 hours during idle with activated energy saving settings and minimum display brightness. The minimum runtime is around 1.5 hours (maximum display brightness and high system load). 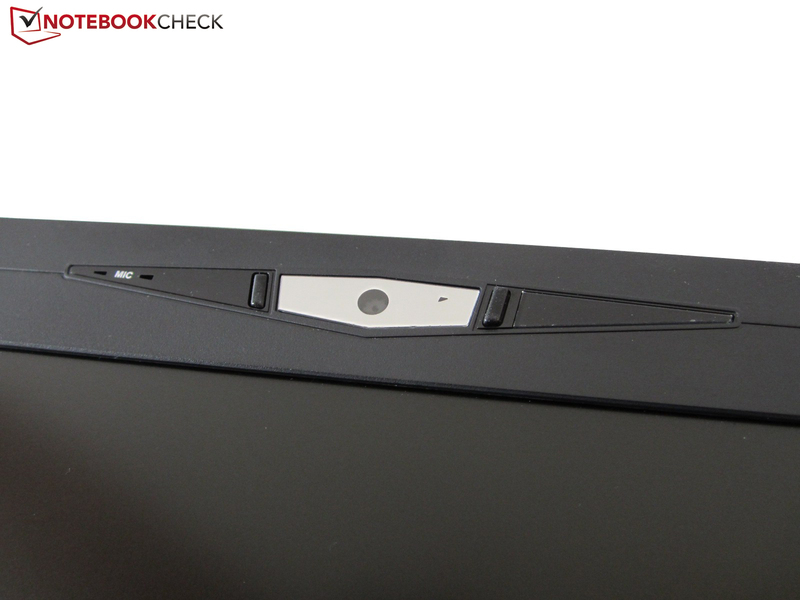 Our review indicates that the GX70 cannot use its full potential. You cannot really call it a well-balanced system when a high-end graphics card loses about 50% performance because of the processor. Intel's Core i processors are significantly faster than the AMD A10-5750M, not even the fastest GPU can change that. 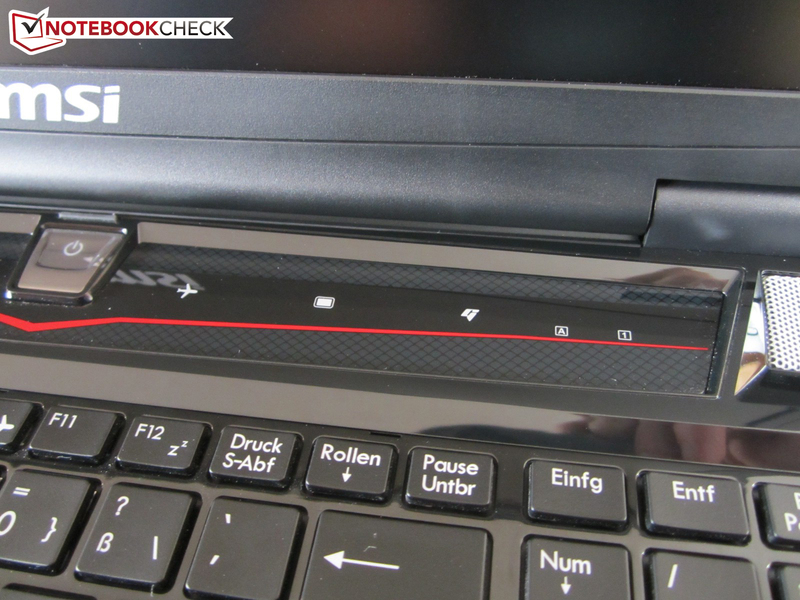 MSI should definitely reconsider this concept and use Intel processors. Combining a Radeon HD 8970M with such a weak processor does not really make sense in our opinion. A look at some games (Assassin's Creed III, Hitman: Absolution, Guild Wars 2) creates doubts that the device is really future-proof; even reduced graphics settings (high) do not result in playable frame rates because of the CPU. Nvidia's GTX 765M, for instance, does not have these problems in combination with an Intel quad-core CPU. You get advantages in some games at the expense of other current titles. Otherwise MSI does a good job. 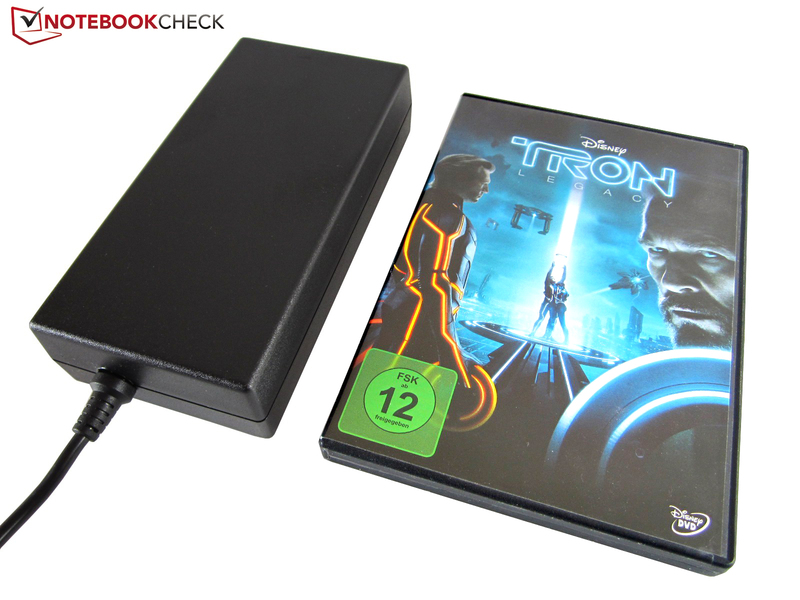 Besides the port equipment and the battery runtime we have to praise the good picture and sound quality. 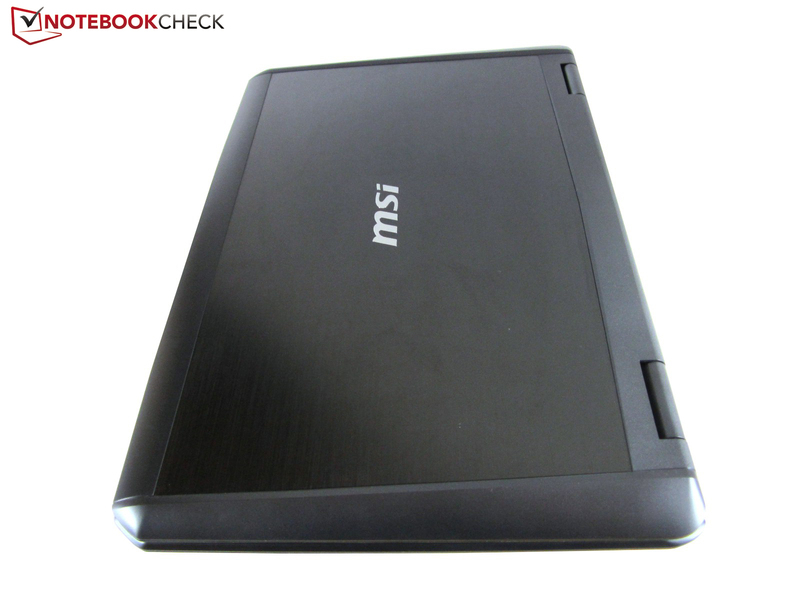 Other positive aspects are the keyboard illumination, the Blu-ray drive and the large storage capacity (mSATA SSD & 1,000 GB HDD). The temperatures and the noise development are still reasonable and the large case with the bling-bling look is certainly a matter of taste. All things considered, we cannot give a recommendation for the GX70. Passionate gamers should invest a few bucks more and get the GT70 or a competitor (see right column under Shortcut). 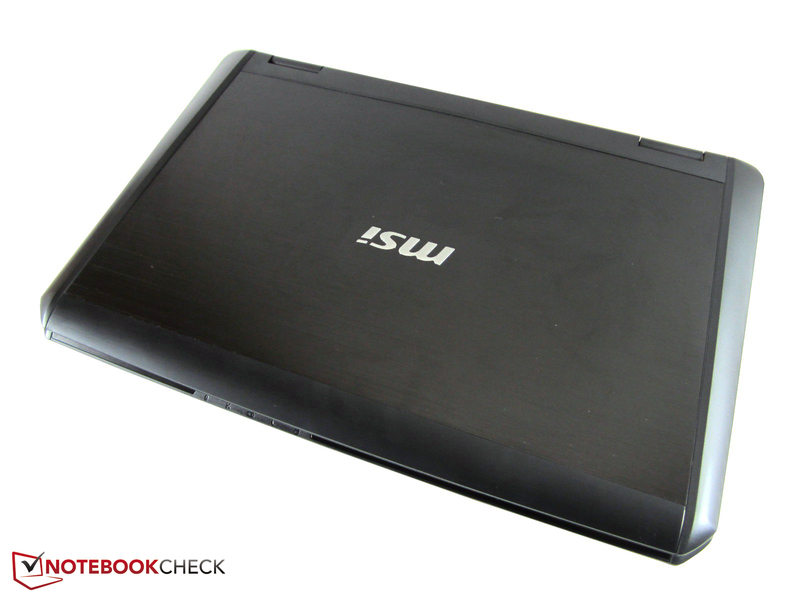 Price-conscious gamers will be happy with an Intel notebook and a GeForce GTX 765M (constant performance, lower price). The GX70 shows similarities to the GT70. The exterior design is pretty much identical. ...and a weight of 3.7 kg. The maximum opening angle is surprisingly big (~150°). ...they attract fingerprints and get scratched very easily. A subwoofer on the bottom. Here you can see the components of the more expensive sibling. 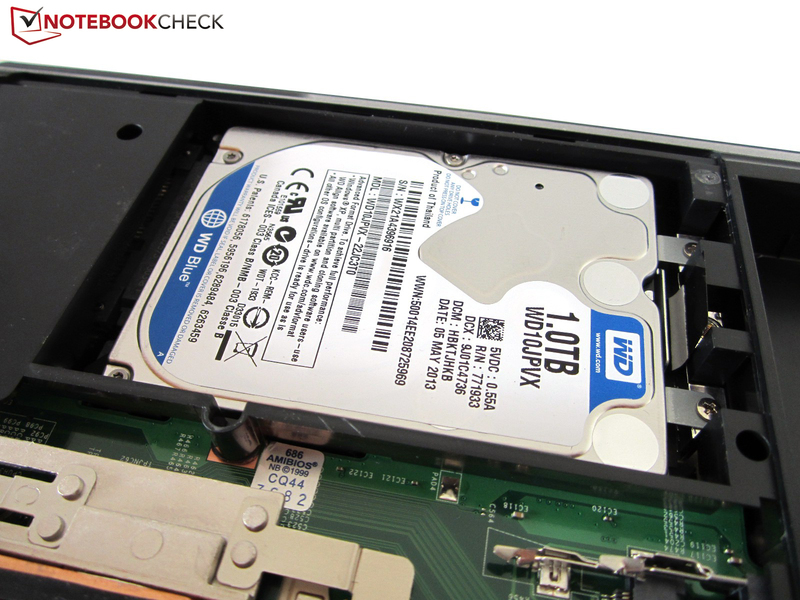 The 1000 GB HDD is identical to the GX70. ...but MSI should not have made big changes. 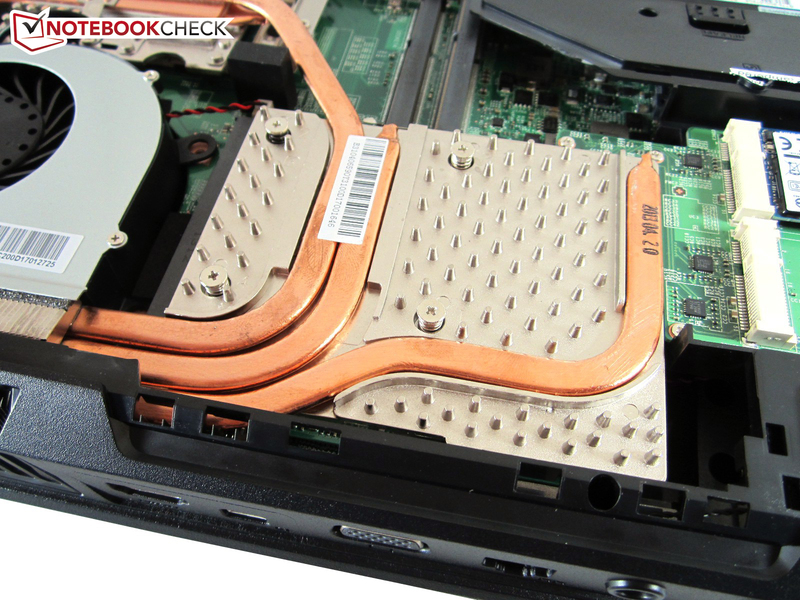 The gaming notebook has just one fan. Once again, the 9-cell battery has a large capacity. Next to the webcam are two microphones. You can argue about the keyboard layout. Movie mode, Cooler Boost and illumination. Flight mode, Display and individual application. 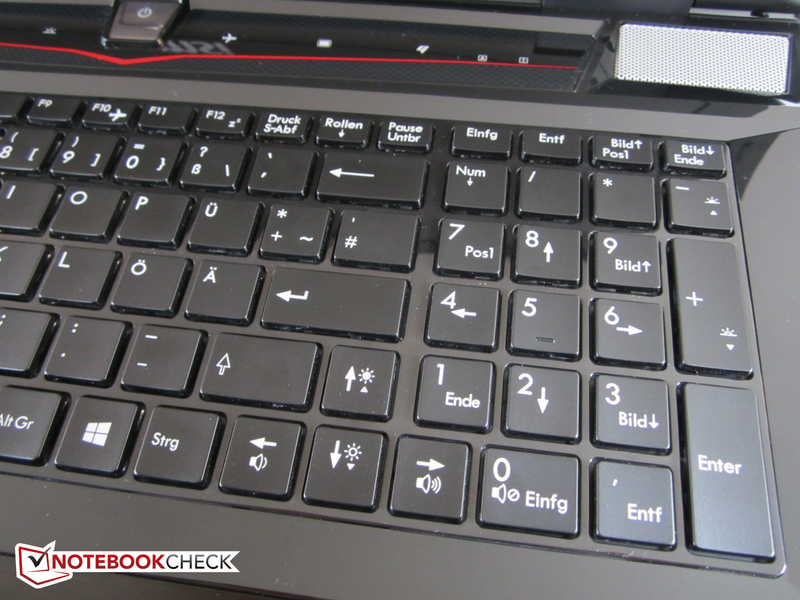 The keyboard layout is supposed to be optimized for gaming. Tip for the competition: Please copy the location of the volume and brightness settings. 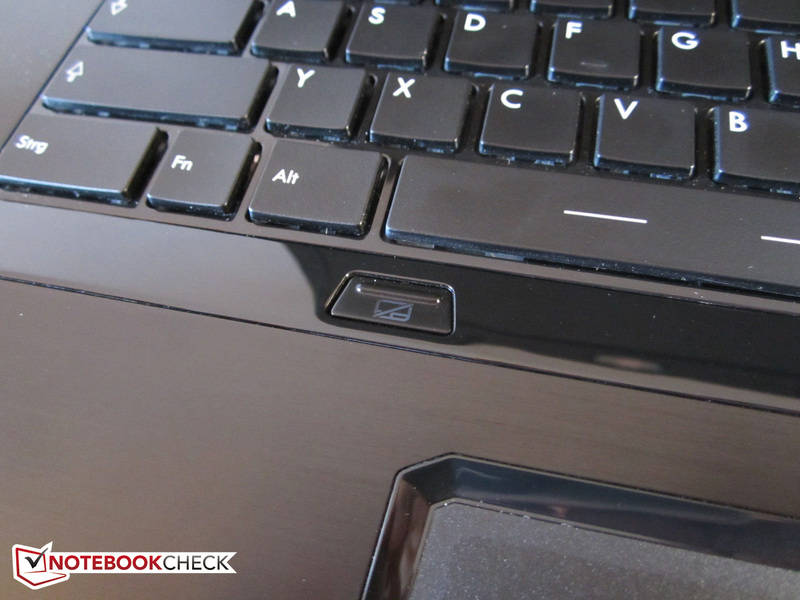 You can easily deactivate the touchpad. Elite quad-core? AMD seems to be dreaming. Two of the five USB ports only support USB 2.0. 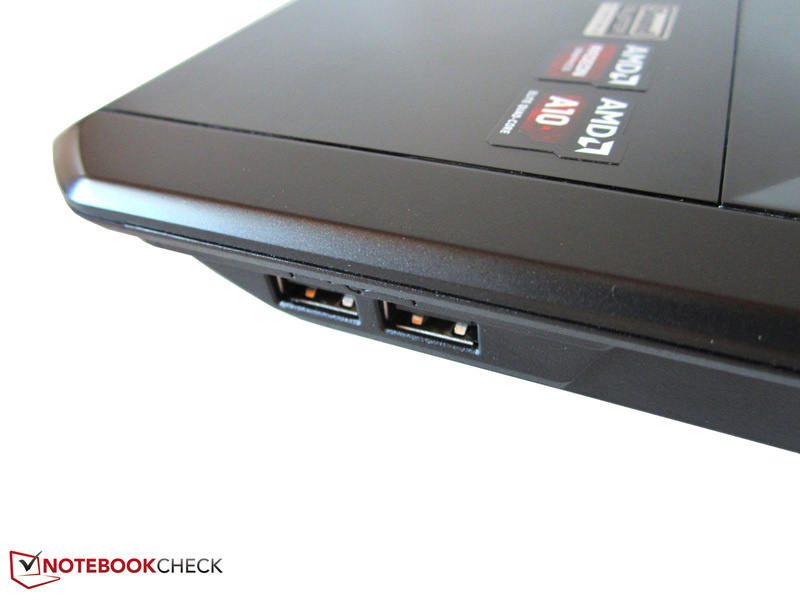 The GX70 scores with a Blu-ray drive. The video ports are at the back. The fan is quieter than many competitors. 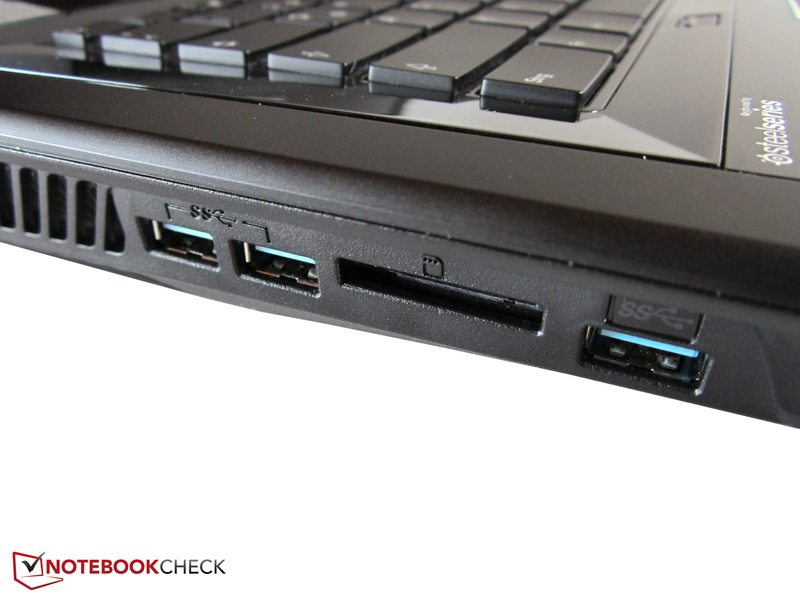 A card reader is between the USB 3.0 ports. Four audio ports is generous. You have to decide for yourself if the GX70 is a good choice. The box contains several user information guides. 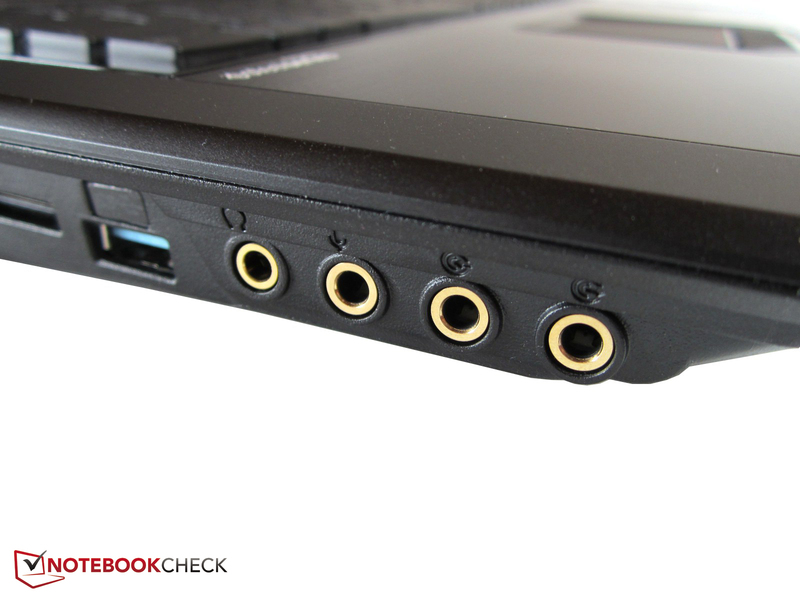 Other notebooks should have such a good sound quality. A completely matte case that is simpler, lighter and thinner. 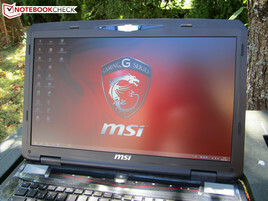 That MSI once again combines a high-end graphics card with a low-end processor. Current gaming notebooks like the Acer Aspire V3-772G, Alienware 17 (review will follow soon), Asus G750JW, MSI GE70, MSI GT70, One K73-3N, Schenker XMG P703 or Schenker XMG P723.